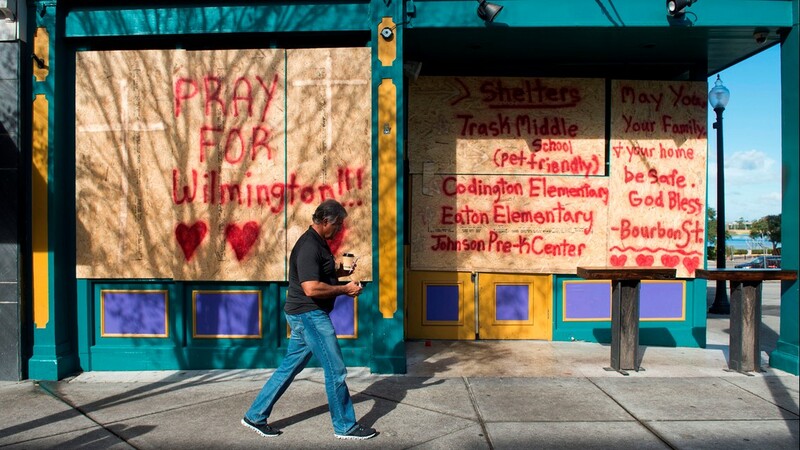 Forecasters said conditions will only get more lethal as the storm smashes ashore early Friday near the North Carolina-South Carolina line and crawls slowly inland. 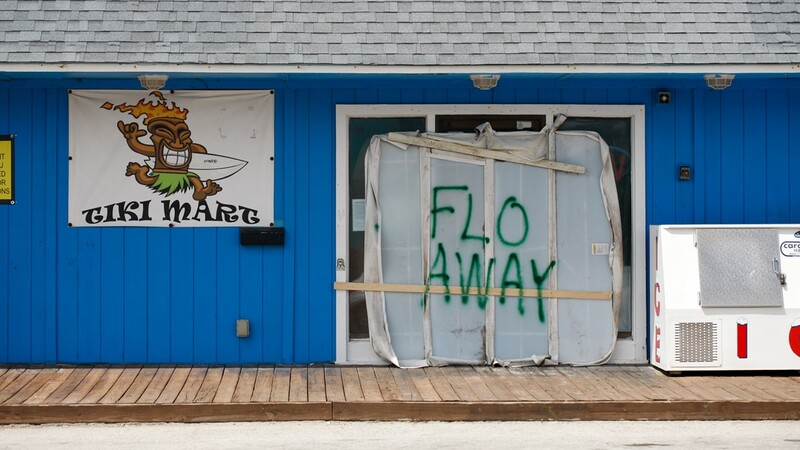 Hurricane Florence's leading edge battered the Carolina coast Thursday, bending trees and shooting frothy sea water over streets on the Outer Banks, as the hulking storm closed in with 90 mph (135 kph) winds for a drenching siege that could last all weekend. 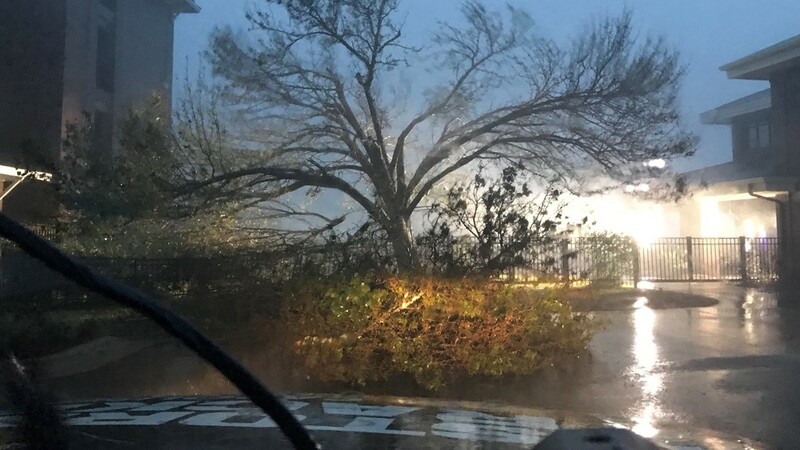 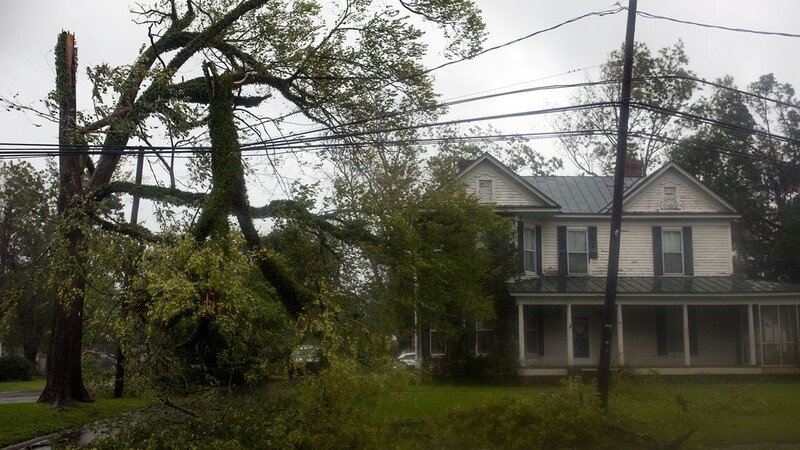 Tens of thousands were without power. 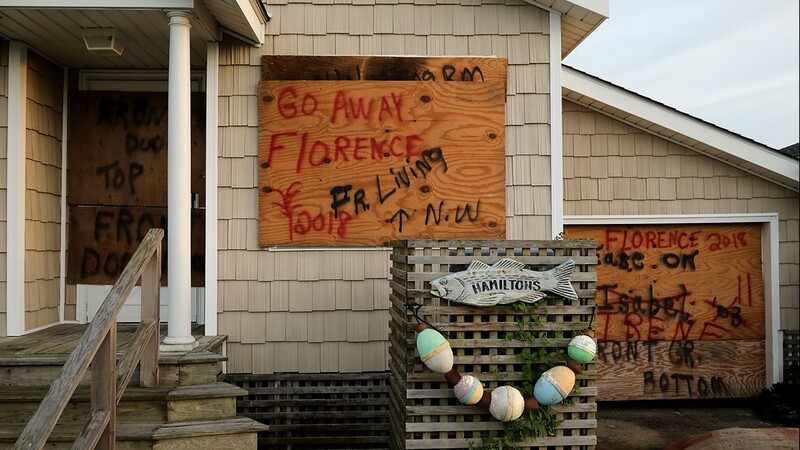 Forecasters said conditions will only get more lethal as the storm smashes ashore early Friday near the North Carolina-South Carolina line and crawls slowly inland. 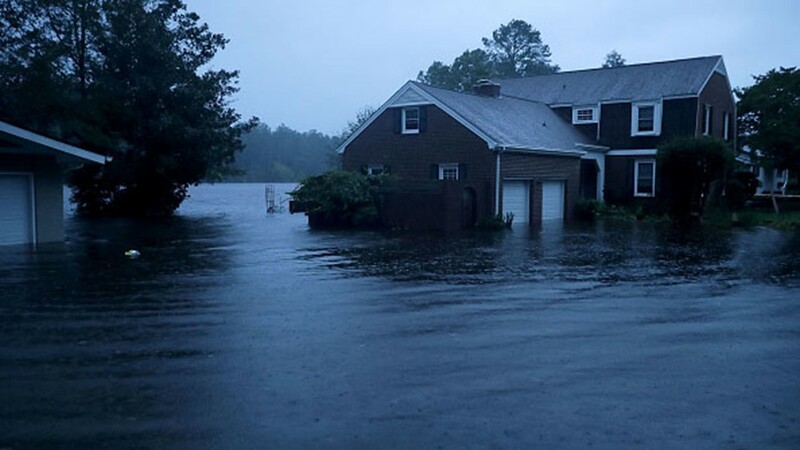 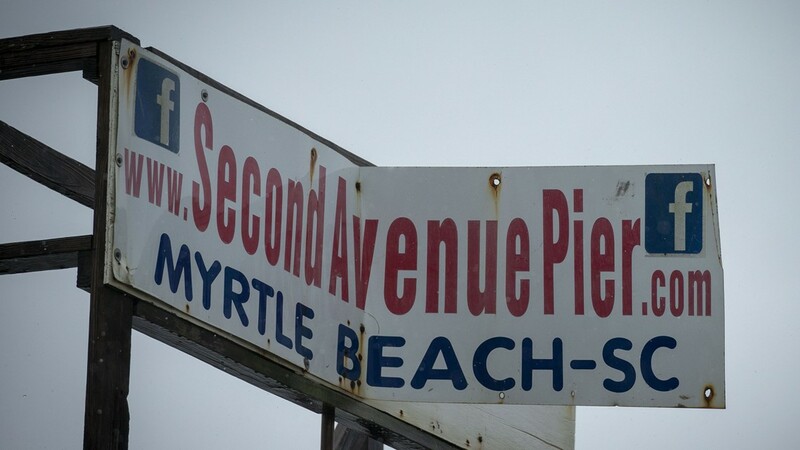 Its surge could cover all but a sliver of the Carolina coast under as much as 11 feet (3.4 meters) of ocean water, and days of downpours could unload more than 3 feet (0.9 meters) of rain, touching off severe flooding. 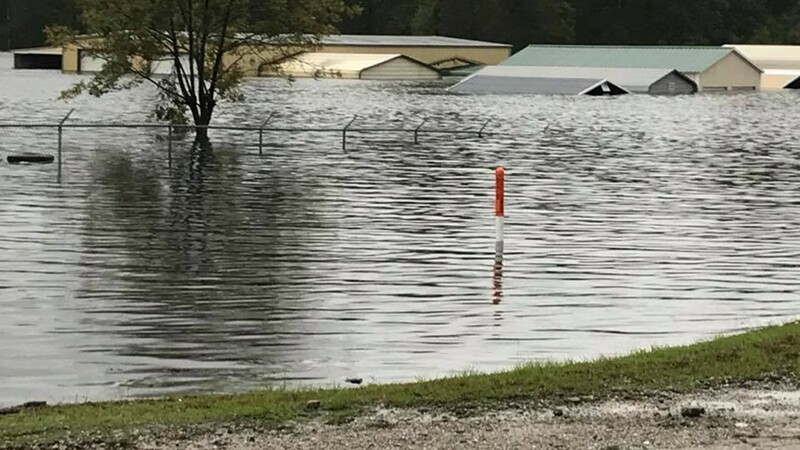 Forecasters' European climate model is predicting 2 trillion to 11 trillion gallons of rain will fall on North Carolina over the next week, according to meteorologist Ryan Maue of weathermodels.com. 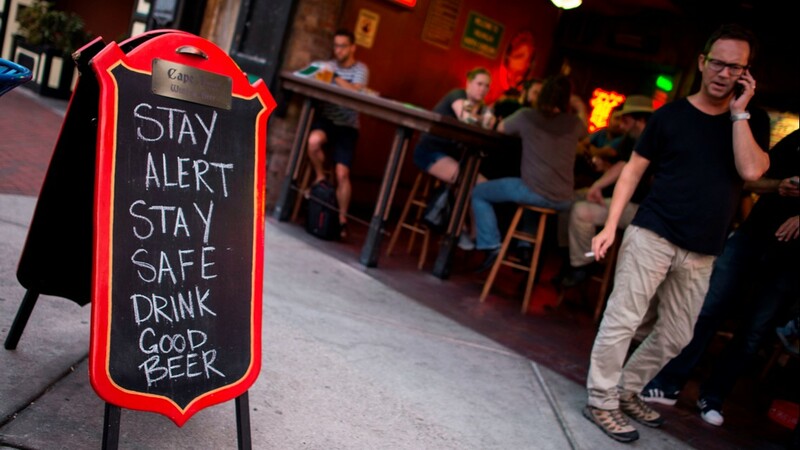 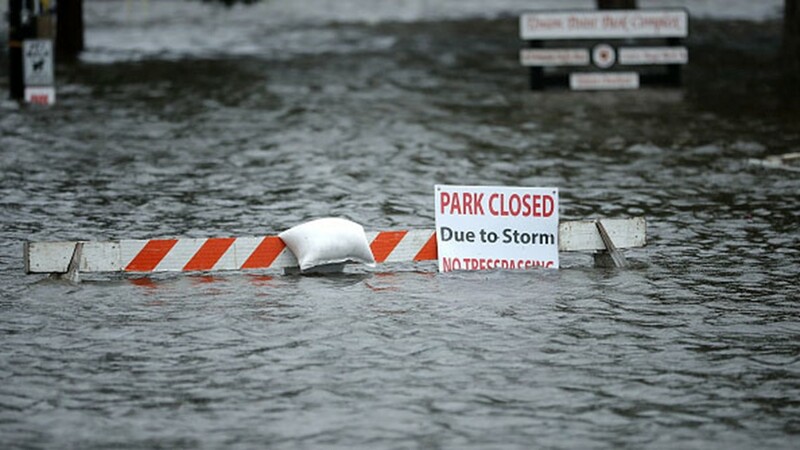 That's enough water to fill the Empire State Building nearly 40,000 times. 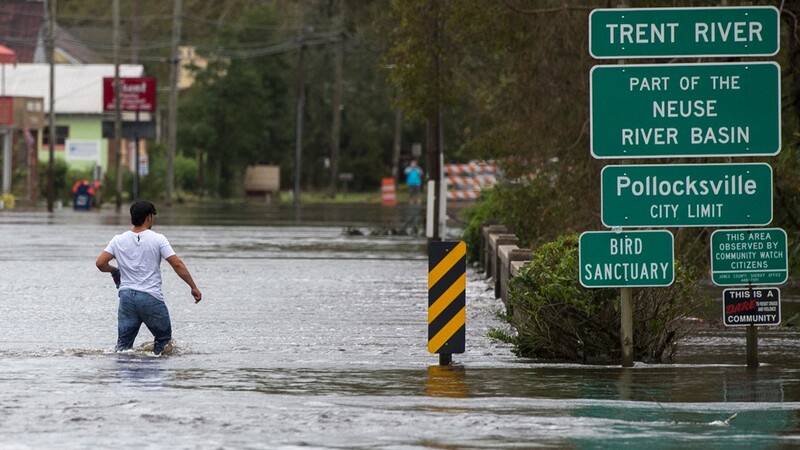 A man wades across a bridge flooded by Hurricane Florence in Pollocksville, North Carolina, on September 16, 2018. 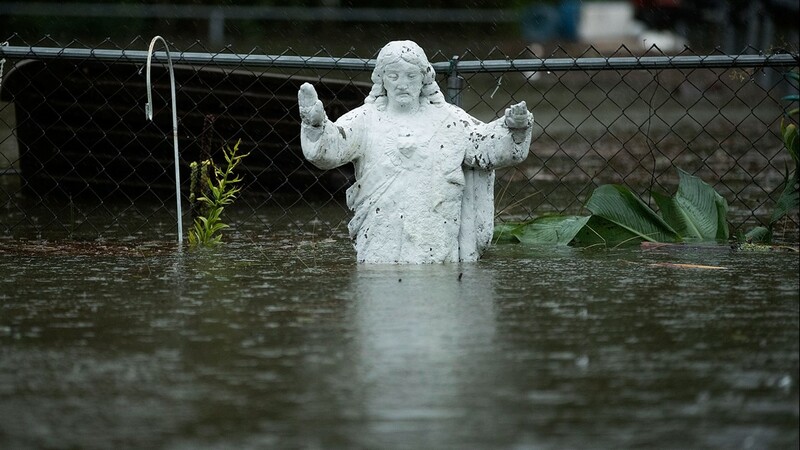 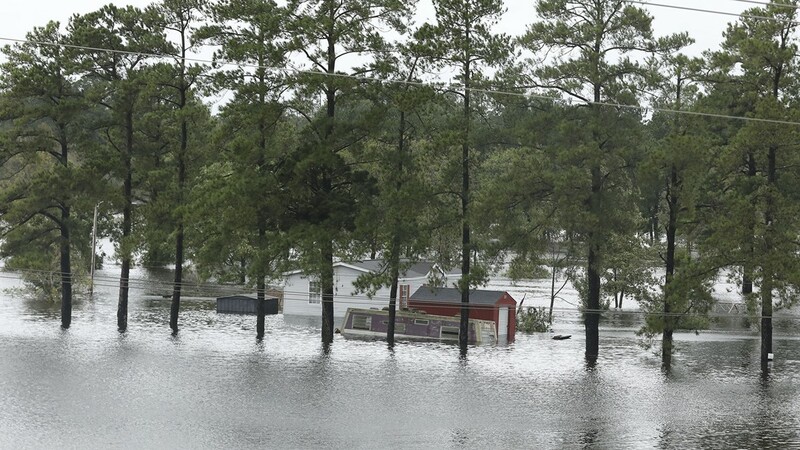 Flooding is seen near Interstate Highway 95 in Lumberton, North Carolina on September 16, 2018. 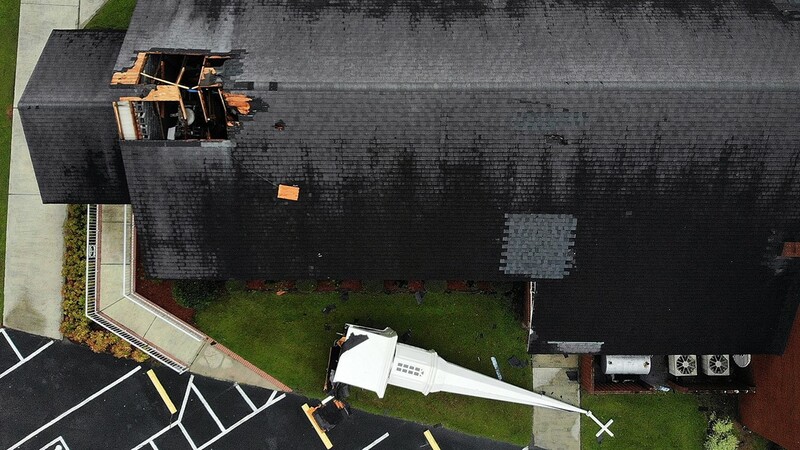 A steeple lies next to the Elah Baptist Church after being blown off by the strong winds of Hurricane Florence on September 16, 2018 in Leland, North Carolina. 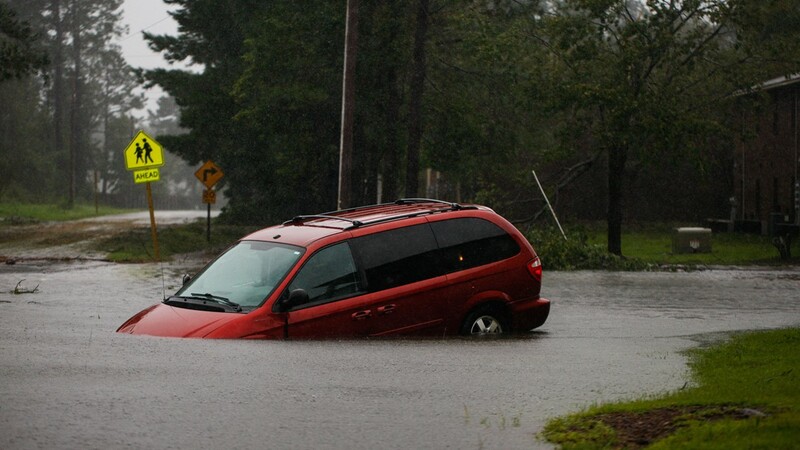 A vehicle turns around at Cross Creek that has been turned into a river by the rains from Hurricane Florence as it passed through the area on September 16, 2018 in Fayetteville, North Carolina. 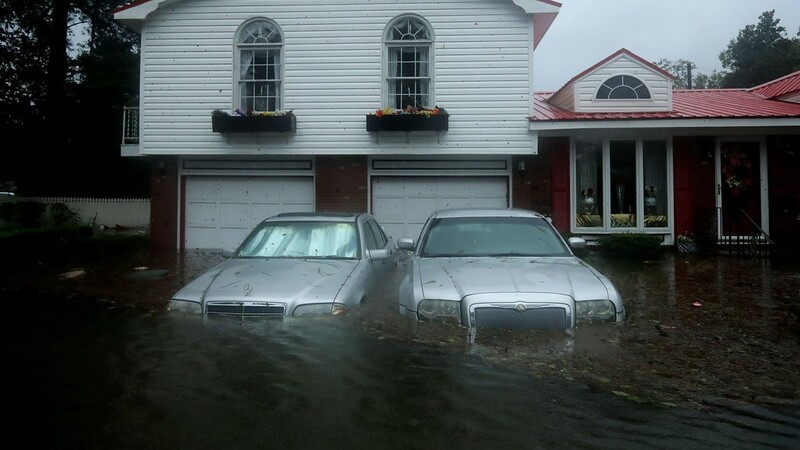 Flooding in Brunswick, NC on Sunday September 16, 2018. 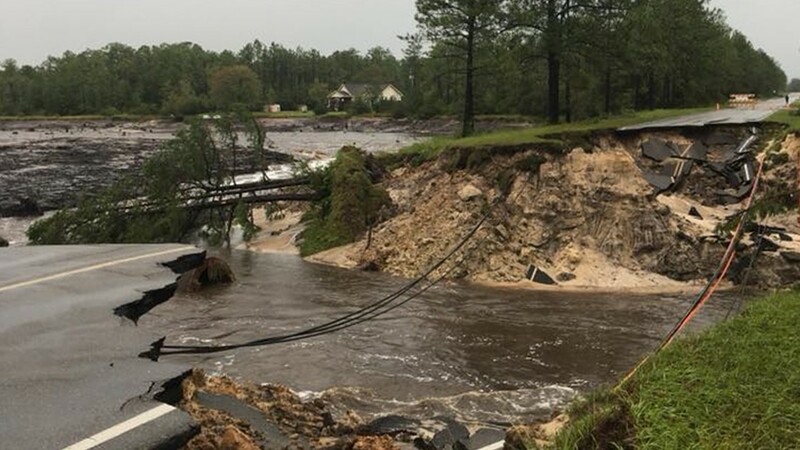 A road collapses due to flooding from Florence in Brunswick County, NC on September 16, 2018. 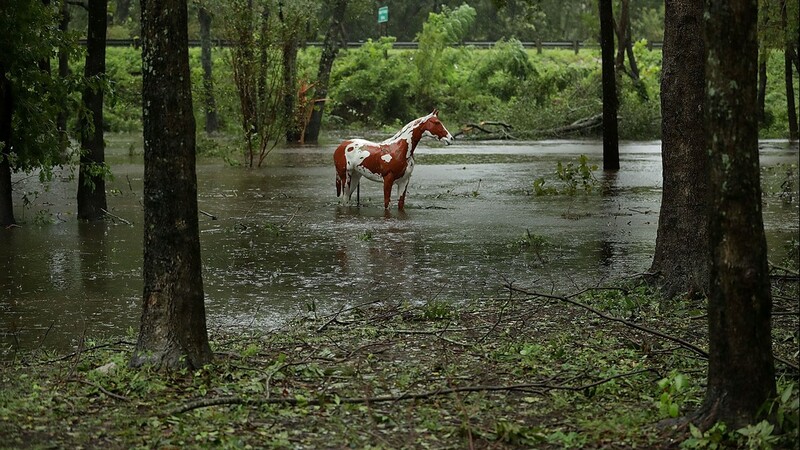 The statue of a horse stands in rising water at the Exchange Nature Park along the Neuse River September 15, 2018 in Kinston, North Carolina. 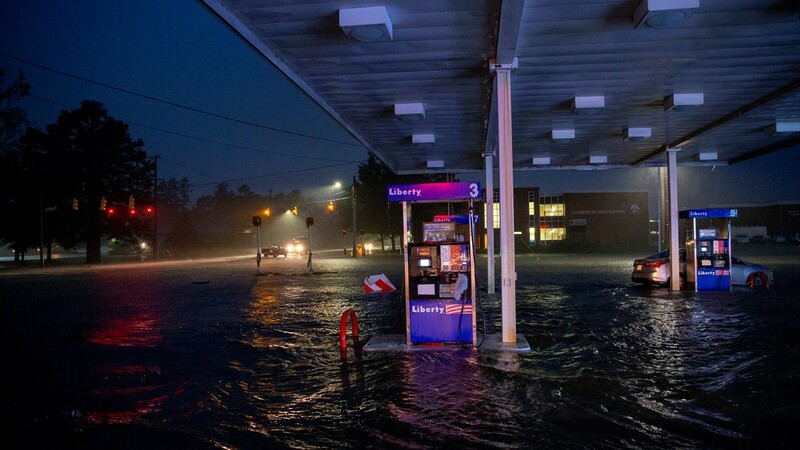 Rising flood waters overtake a gas station in Lumberton, North Carolina, on September 15, 2018 in the wake of Hurricane Florence. 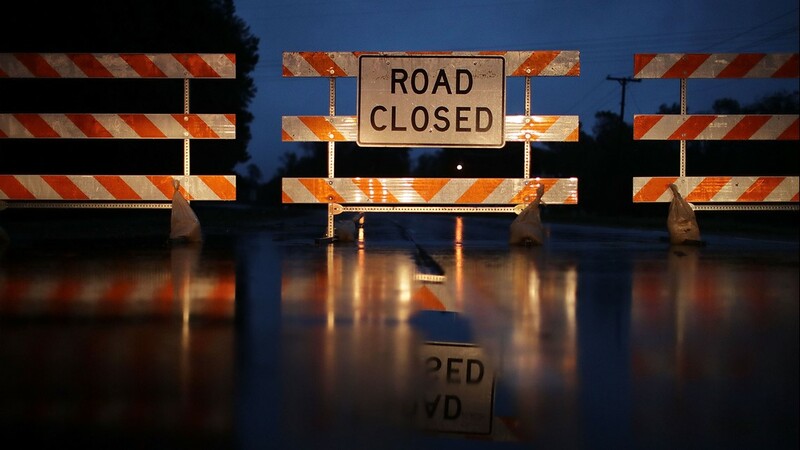 Barricades block Highway 70 where the Neuse River has flooded the road September 15, 2018 in Kinston, North Carolina. 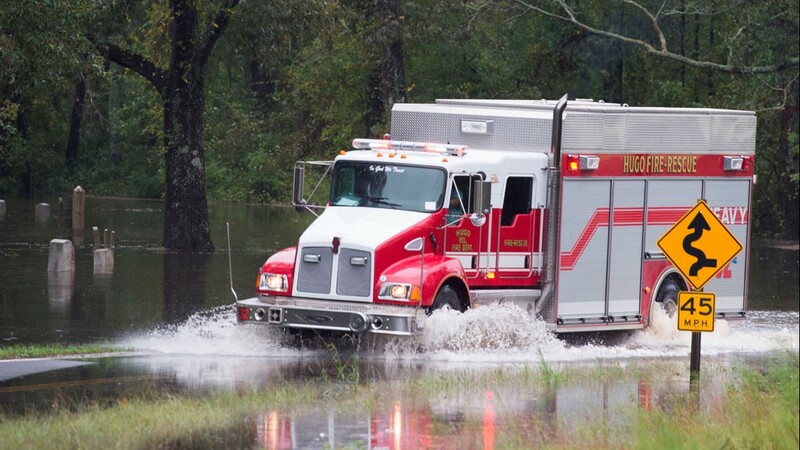 An emergency truck drives through flood water in Grifton, North Carolina on September 16, 2018. 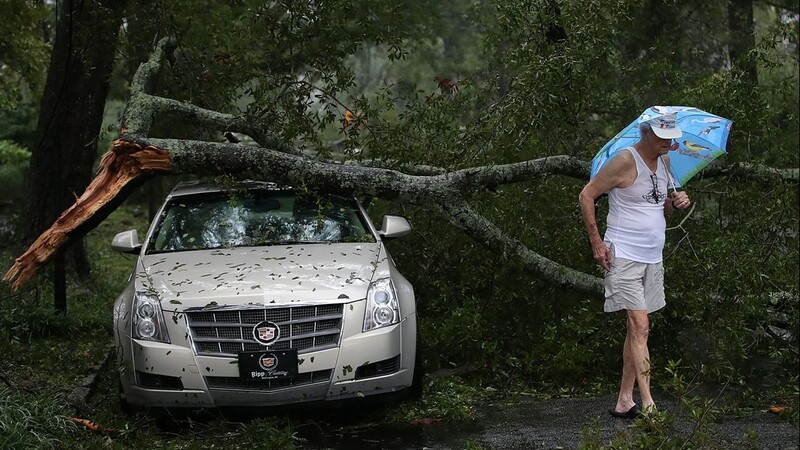 Robert Dolman walks past a Cadillac that has a large tree limb on it, on September 16, 2018 in Wilmington, North Carolina. 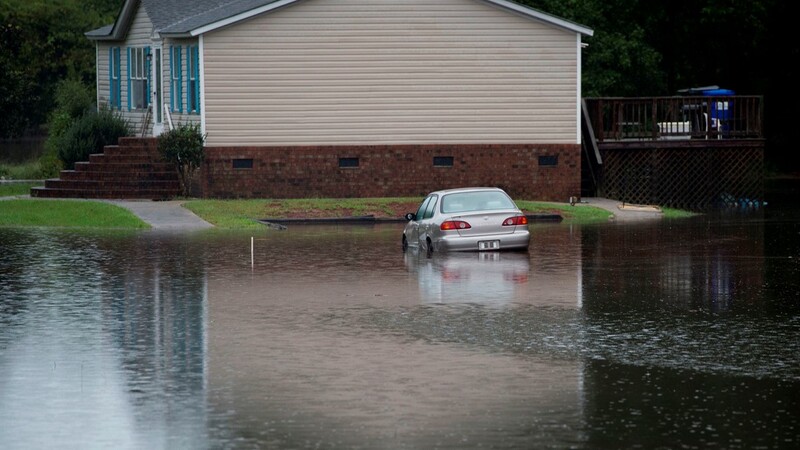 A car is partially submerged in flood water near a house in Grifton, North Carolina on September 16, 2018. 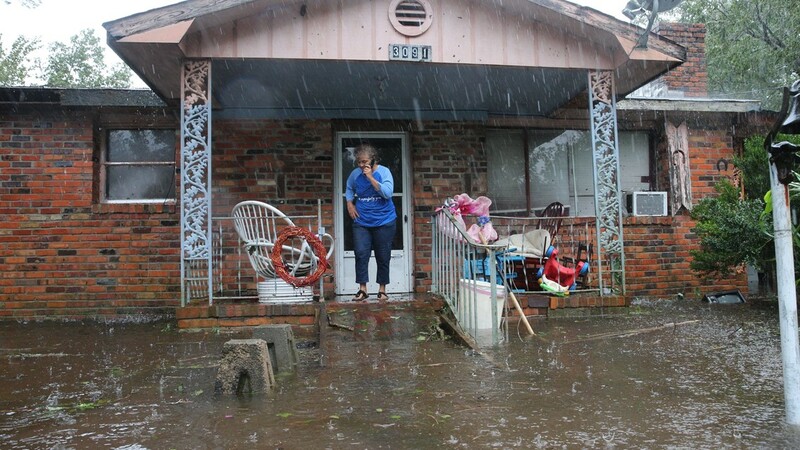 A woman speaks into a cellphone asking for help at her flooded residence in Lumberton, North Carolina, on September 15, 2018 in the wake of Hurricane Florence. 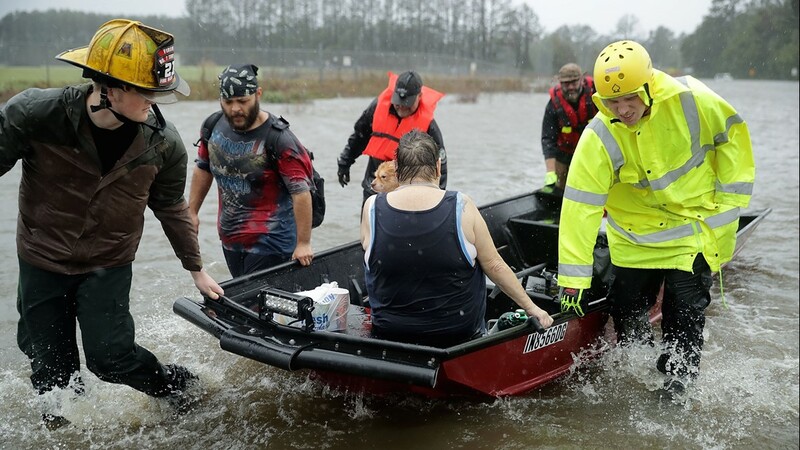 Members of the Cajun Navy came to her rescue. 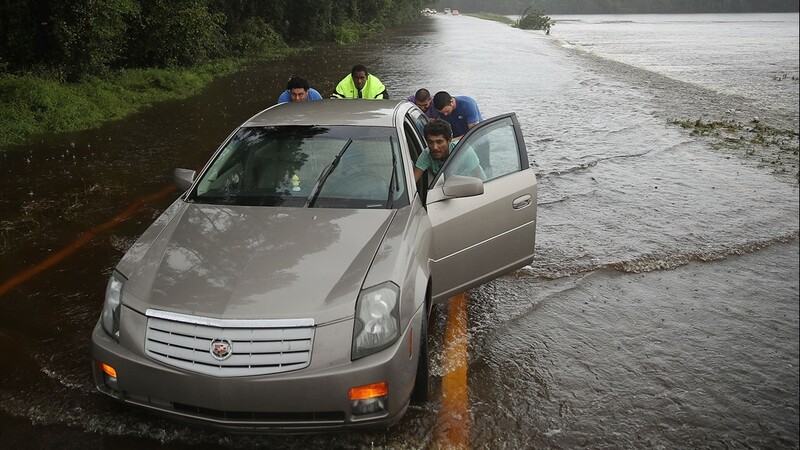 People push a vehicle that stalled as it passed through the flood waters crossing the road after Hurricane Florence passed through the area on September 15, 2018 in Warsaw, North Carolina. 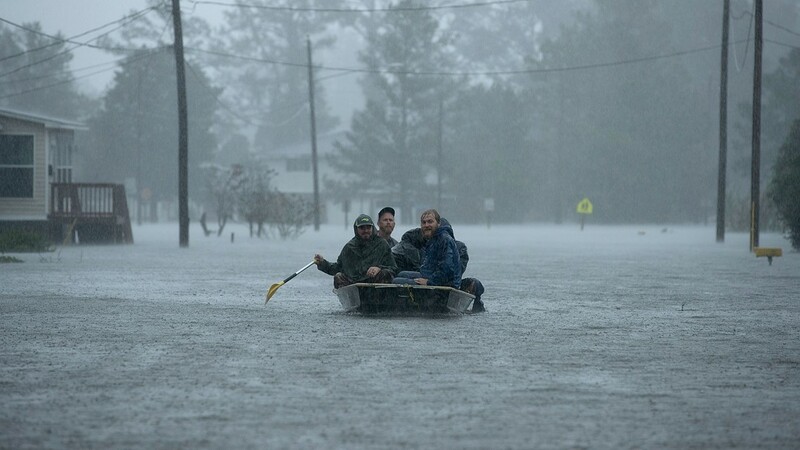 A man drives a Jon Boat through a neighbourhood flooded from heavy rains after Hurricane Florence made landfall on September 14, 2018, in Vanceboro, North Carolina, on September 15, 2018. 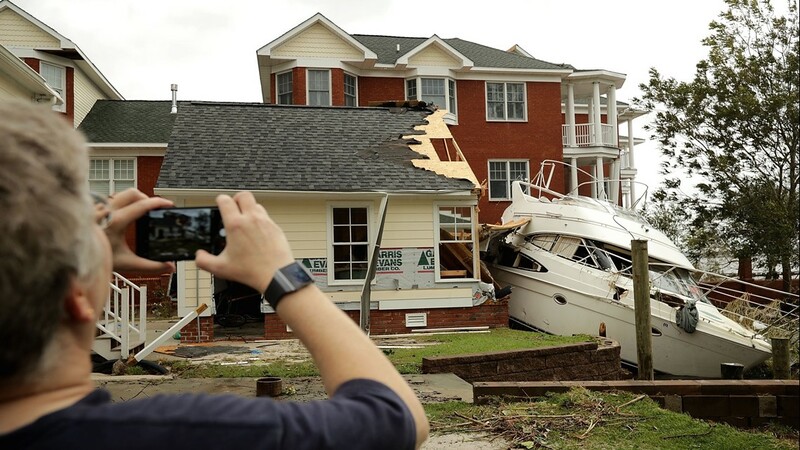 A neighbor makes photographs of a boat smashed against a car garage, deposited there by the high winds and storm surge from Hurricane Florence along the Neuse River September 15, 2018 in New Bern, North Carolina. 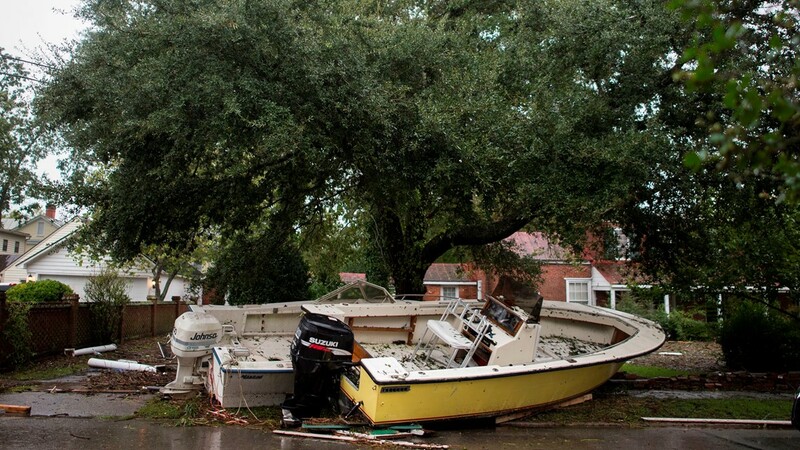 Boats lean against a tree after flooding the day before pushed them there when Hurricane Florence made landfal, in New Bern, North Carolina on September 15, 2018. 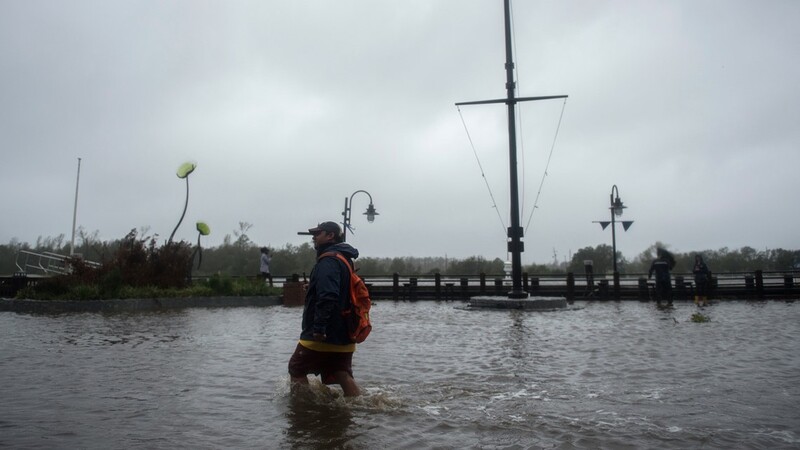 A man wades through rising flood waters on the Cape Fear River during Hurricane Florence in Wilmington, North Carolina on September 14, 2018. 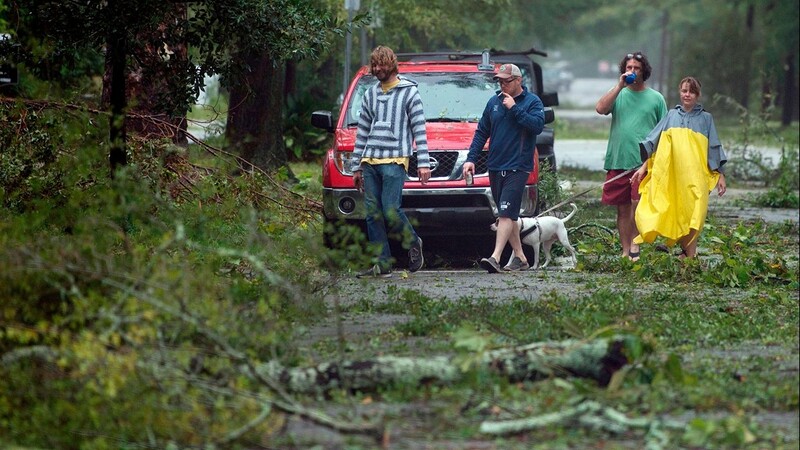 Residents look at downed tree as Hurricane Florence passes over Wilmington, North Carolina on September 14, 2018. 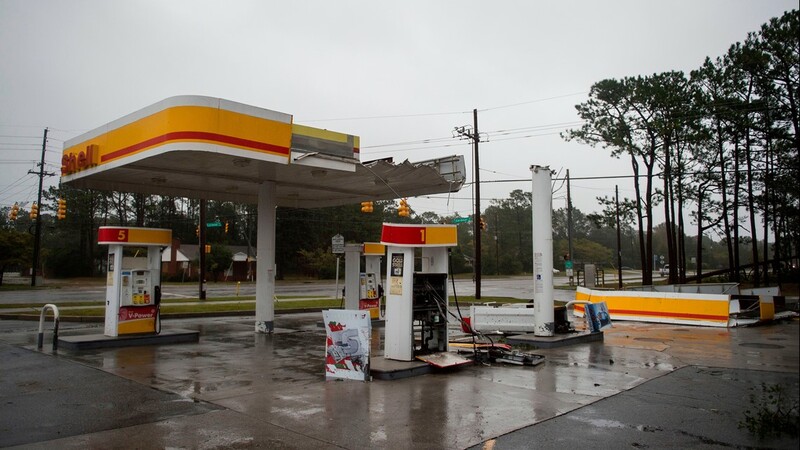 The roof of a gas station is destroyed from strong winds as Hurricane Florence passes over Wilmington, North Carolina on September 14, 2018. 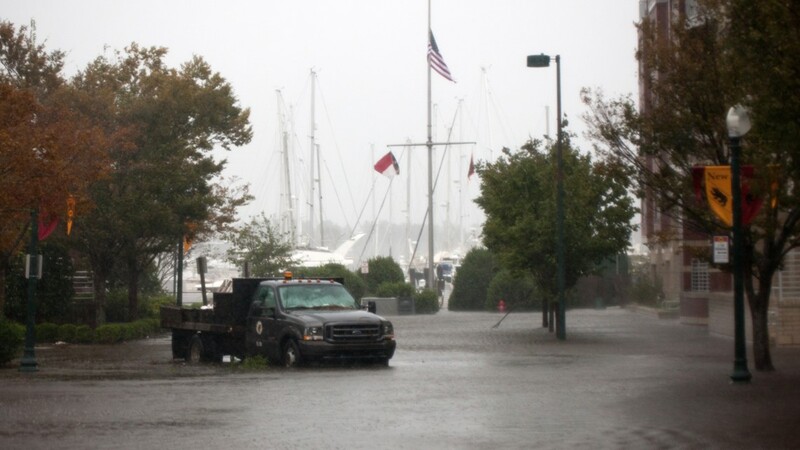 A NC Department of Transportation truck can be seen in the road surrounded by flood waters from the Neuse River in New Bern, North Carolina, September 14, 2018 during Hurricane Florence. 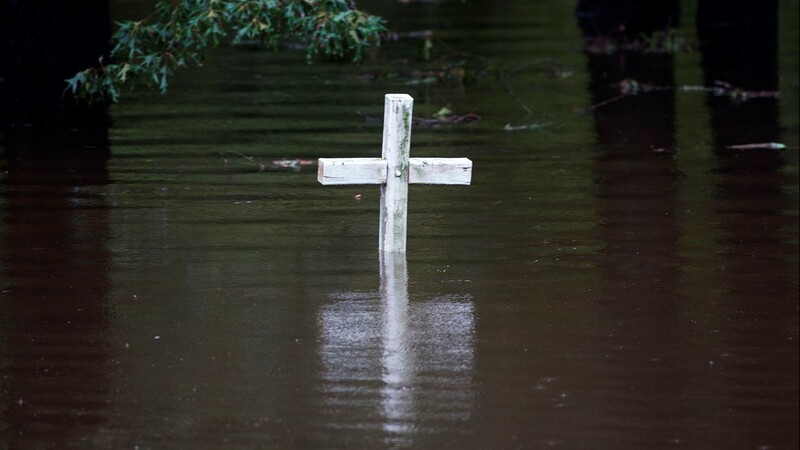 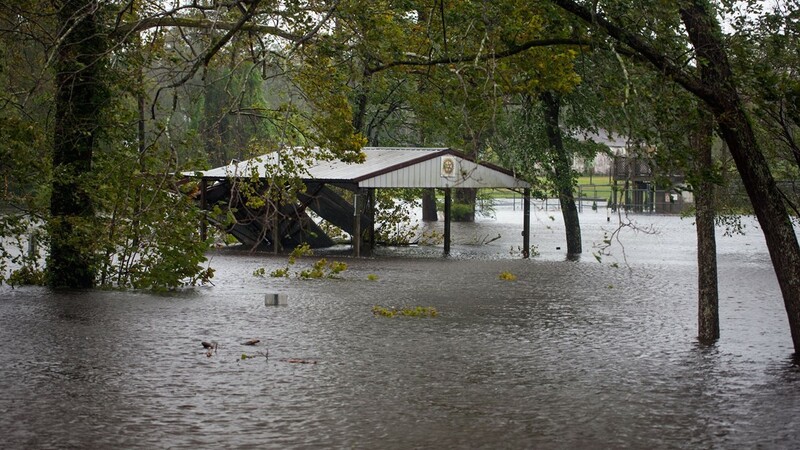 Flood waters from the Trent River inundate a park in Pollocksville, North Carolina on September 14, 2018 during Hurricane Florence. 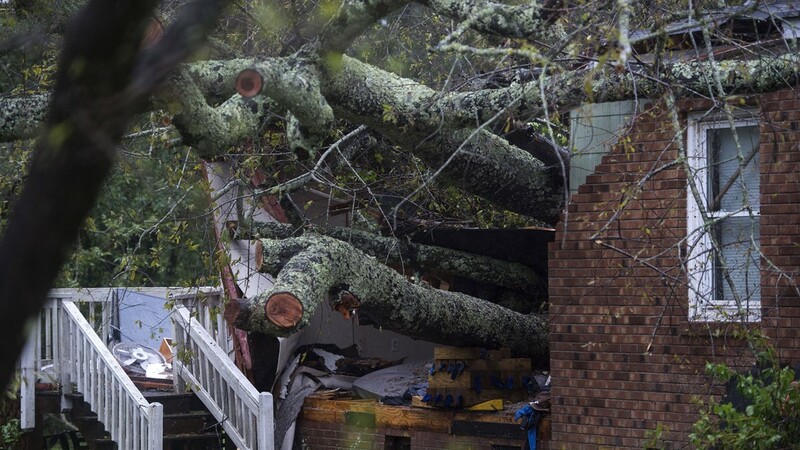 Firefighters look into a home that a large tree fell on that has three people trapped after Hurricane Florence hit the area on September 14, 2018 in Wilmington, North Carolina. 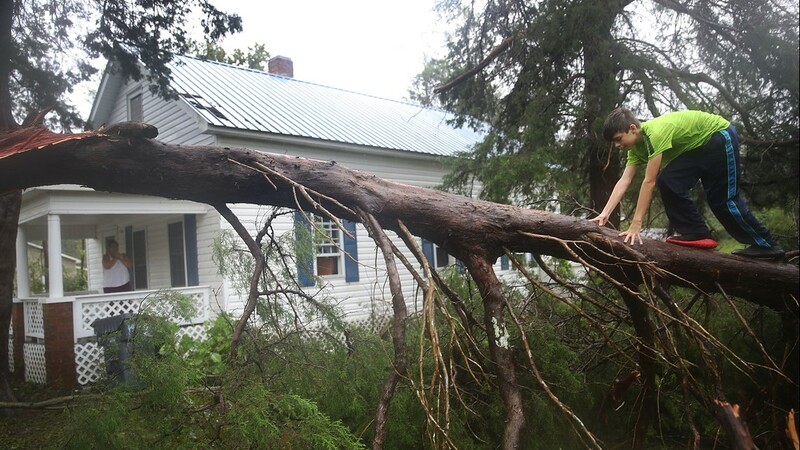 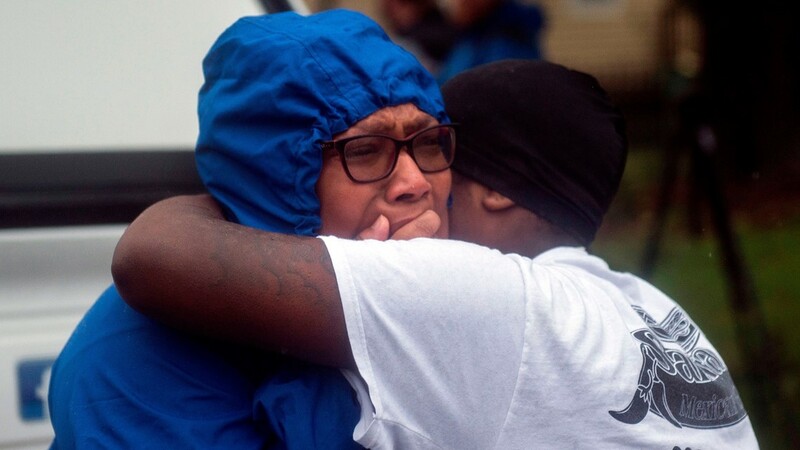 A mother and daughter that friends were injured in a house that a tree fell on during landfall of Hurricane Florence, in Wilmington, North Carolina on September 14, 2018. 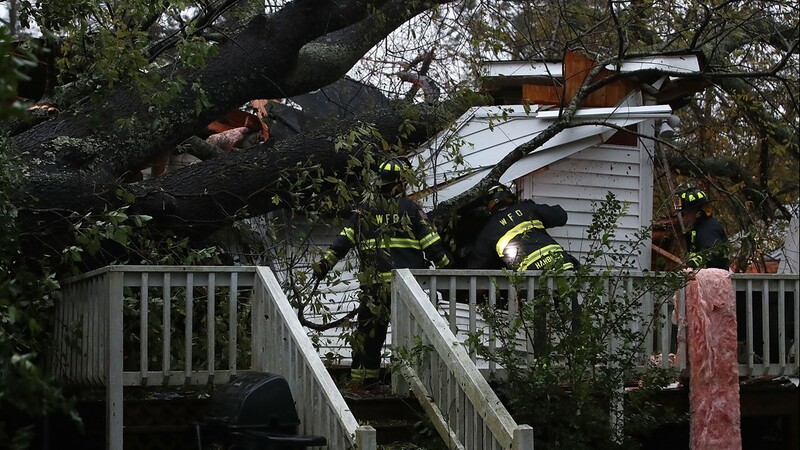 Firefighters pray at an operation to remove a tree that fell on a house injuring resident during Hurricane Florence in Wilmington, North Carolina on September 14, 2018. 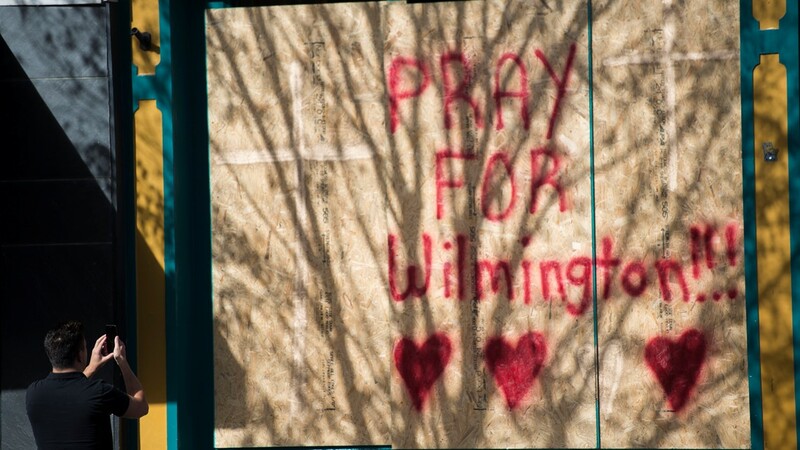 A firefighter takes a break in a rescue operation at a house that a tree fell on during landfall of Hurricane Florence, in Wilmington, North Carolina on September 14, 2018. 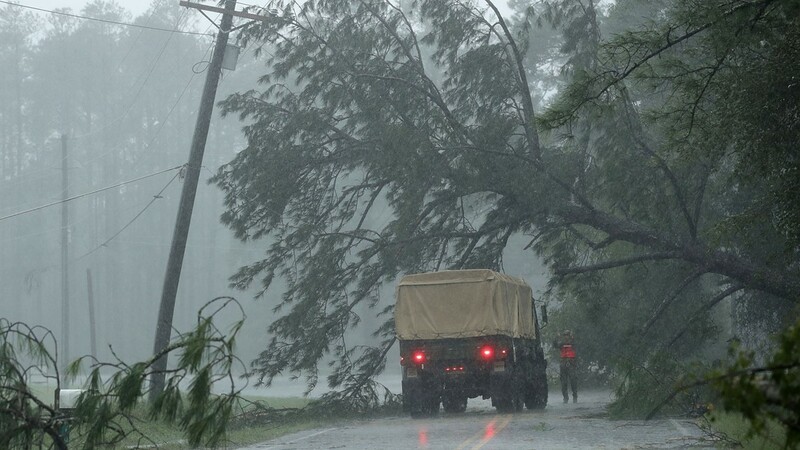 A downed tree can be seen from State Route 17 in Pollocksville, North Carolina on September 14, 2018 during Hurricane Florence. 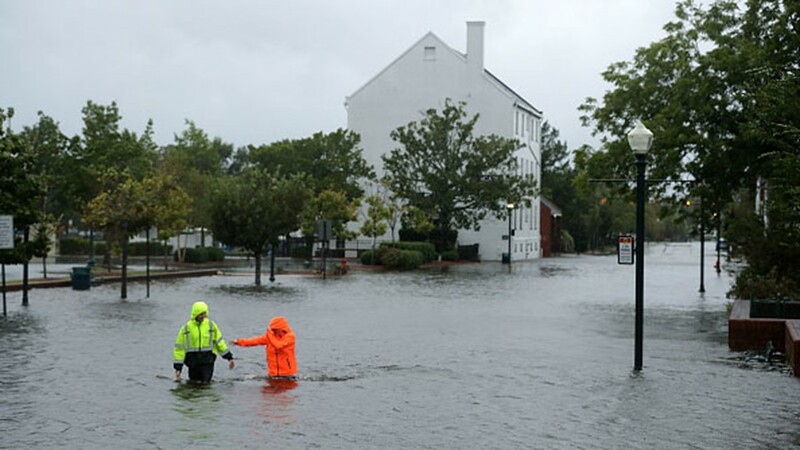 Flood waters rise up from the Neuse River in New Bern, North Carolina on September 14, 2018 during Hurricane Florence. 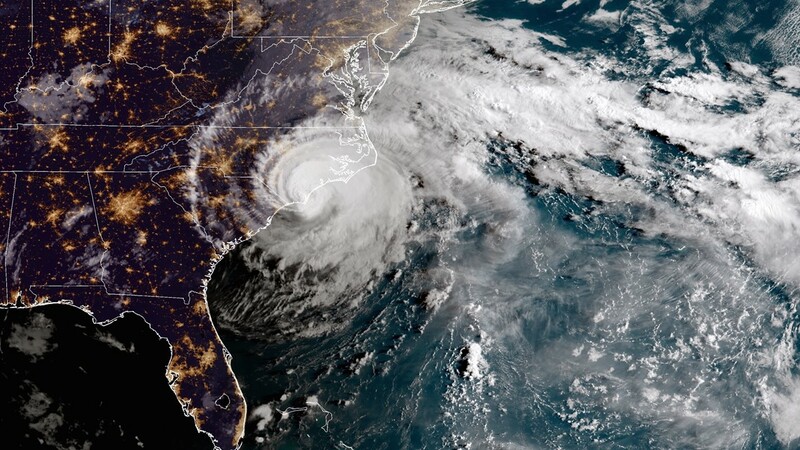 This NOAA satellite handout image shows Hurricane Florence as it made landfall near Wrightsville Beach, North Carolina on September 14, 2018. 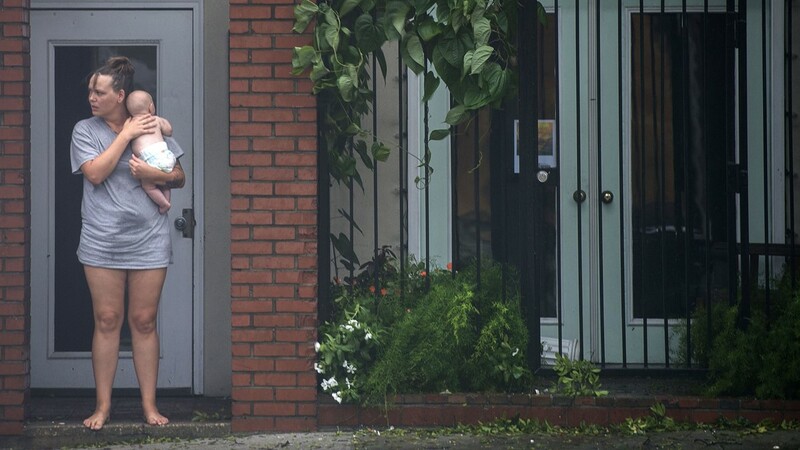 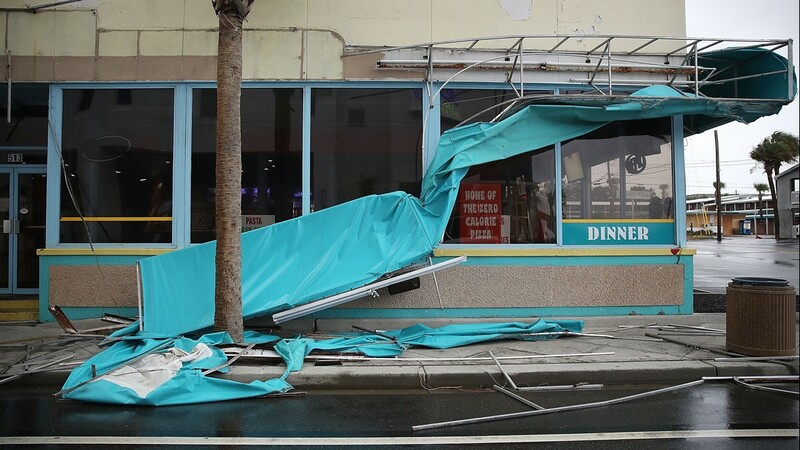 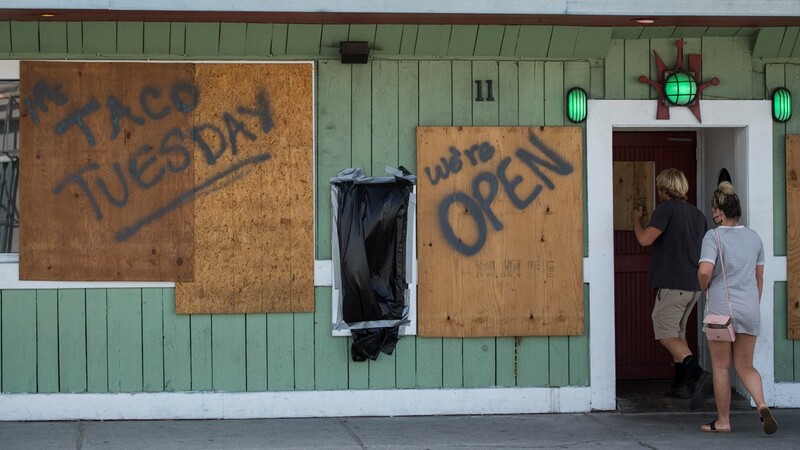 A damaged awning is seen as winds from Hurricane Florence on September 14, 2018 in Myrtle Beach, United States. 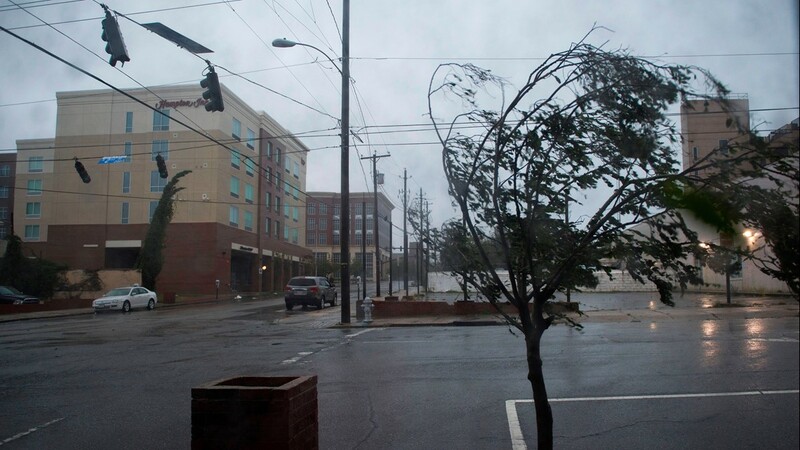 A tree bends from the heavy rain and wind from Hurricane Florence in Wilmington, North Carolina on September 14, 2018. 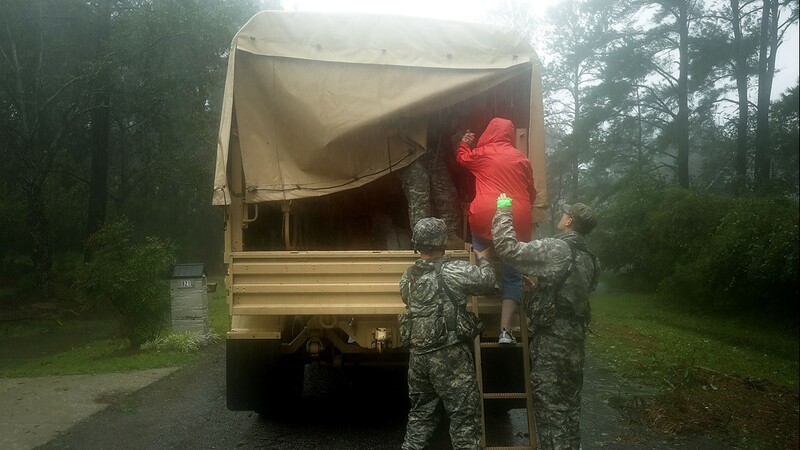 Volunteer Amber Hersel from the Civilian Crisis Response Team helps rescue 7-year-old Keiyana Cromartie and her family from their flooded home September 14, 2018 in James City, United States. 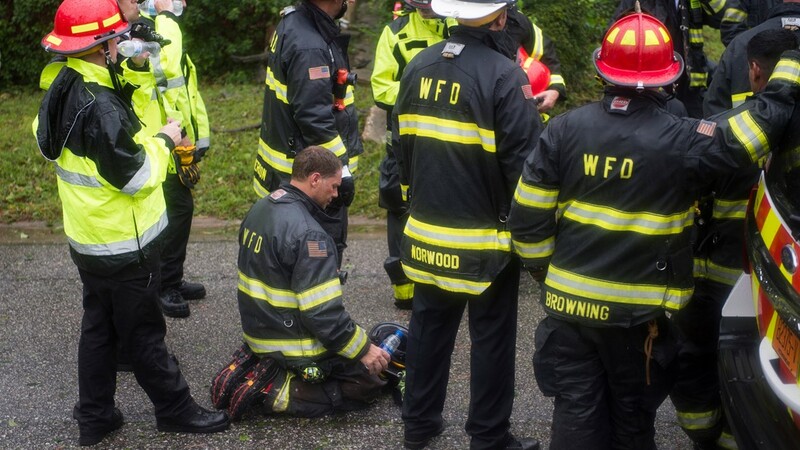 Rescue workers from Township No. 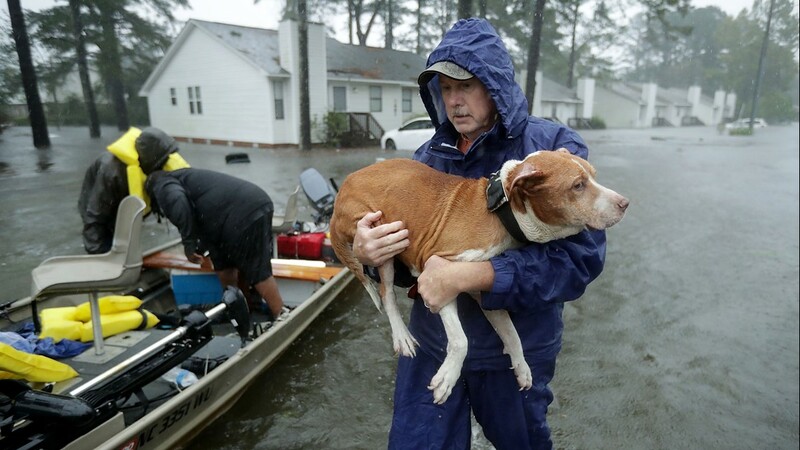 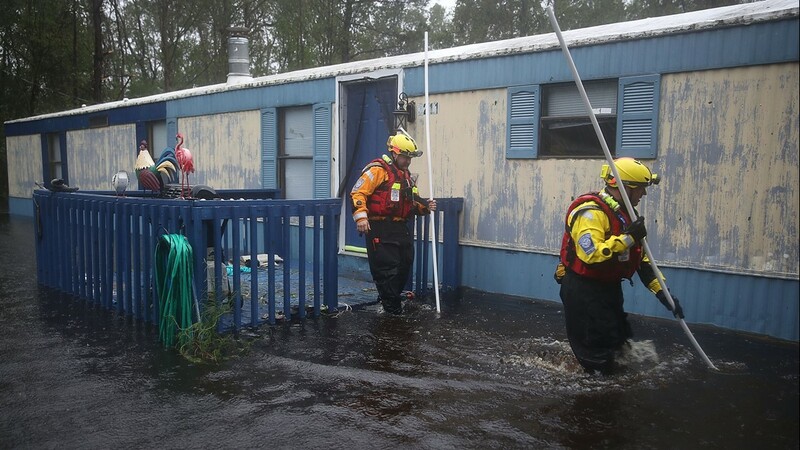 7 Fire Department and volunteers use a boat to rescue a woman and her dog from their flooded home during Hurricane Florence September 14, 2018 in James City, United States. 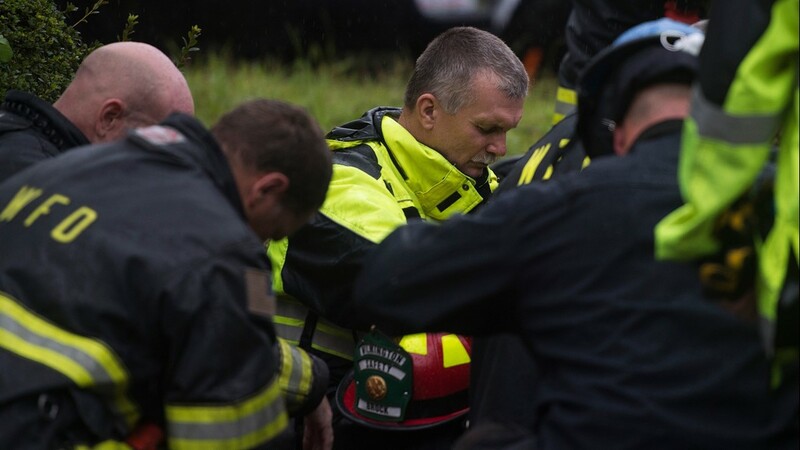 Rescue workers from Township No. 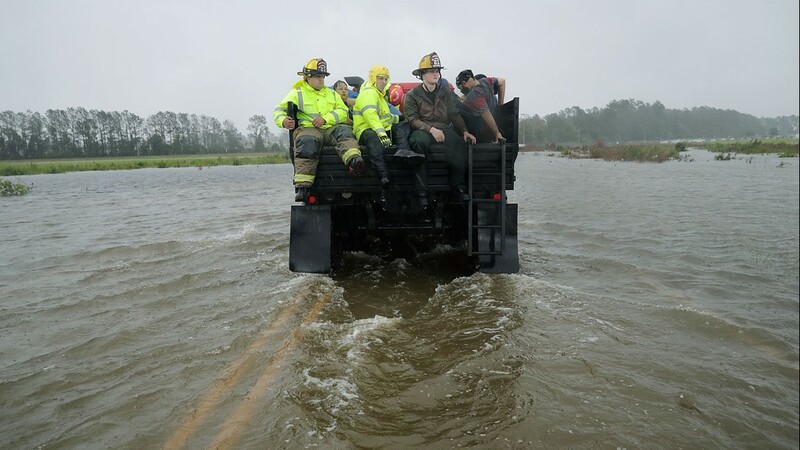 7 Fire Department and volunteers from the Civilian Crisis Response Team use a truck to move people rescued from their flooded homes during Hurricane Florence September 14, 2018 in James City, United States. 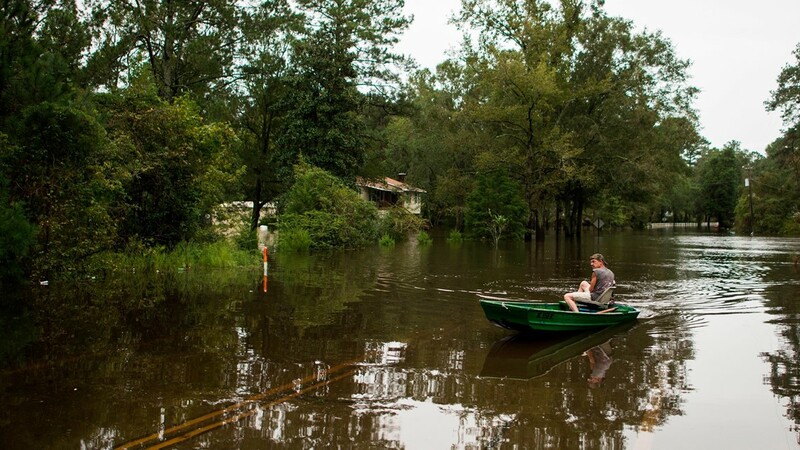 The Trent River (background) overflows its banks and floods a neighborhood during Hurricane Florence September 13, 2018 in River Bend, North Carolina. 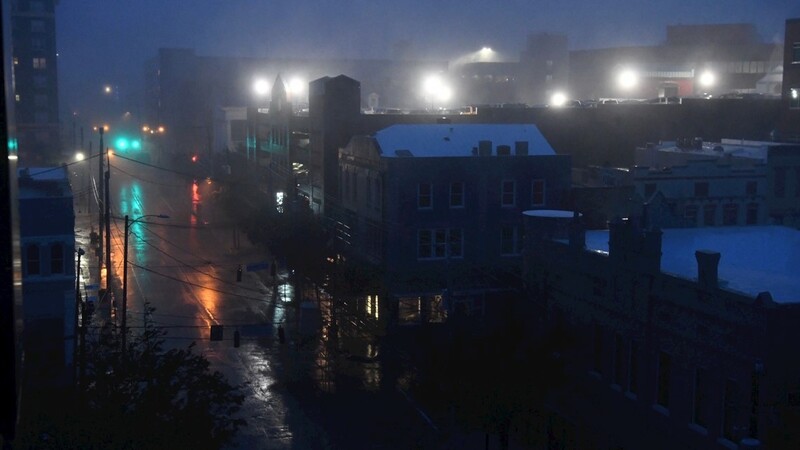 The streets of Wilmington, North Carolina, were expectedly deserted awaiting Hurricane Florence's arrival on Friday, Sept. 14, 2018. 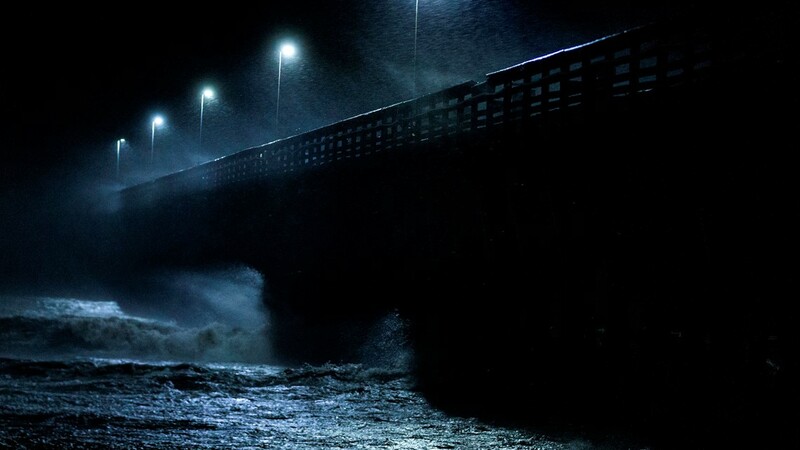 Strong winds and sheets of rain fell on the this coastal town. 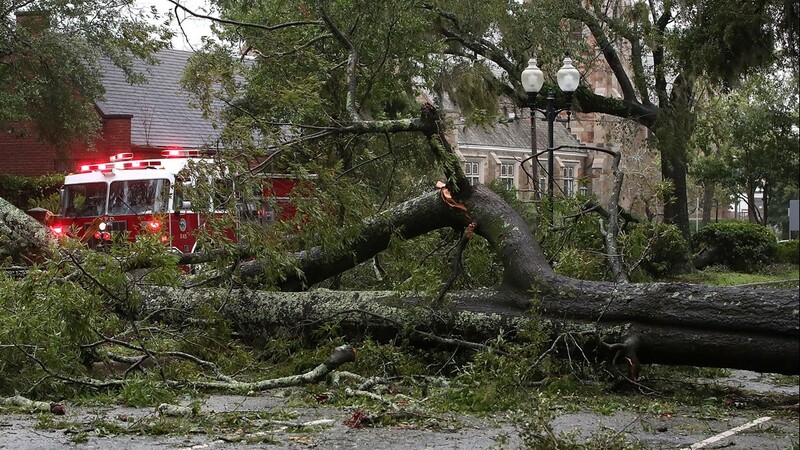 A tree is down on a road in Wilmington, NC early Friday morning. 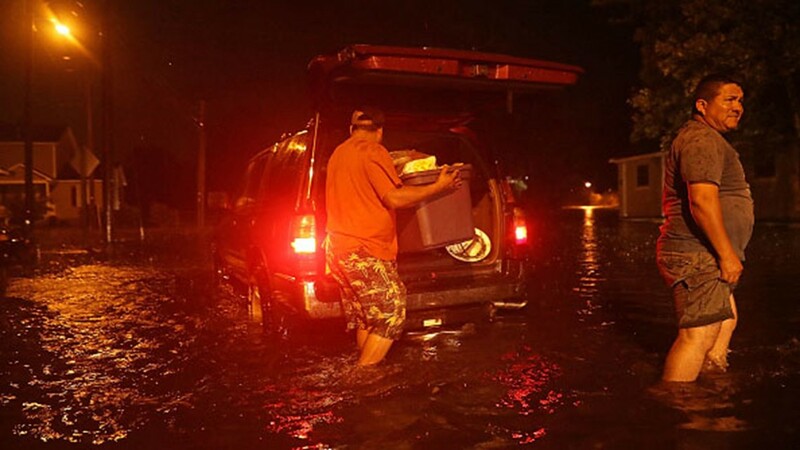 Men pack their belongings after evacuating their house after the Neuse River went over its banks and flooded their street during Hurricane Florence September 13, 2018 in New Bern, North Carolina. 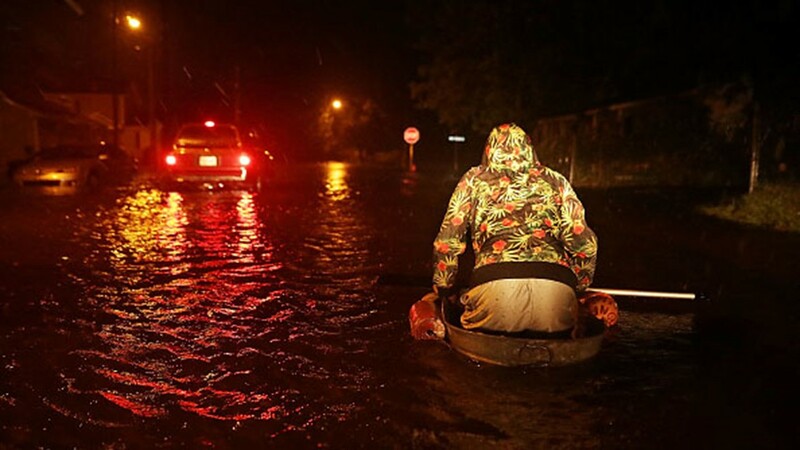 Michael Nelson floats in a boat made from a metal tub and fishing floats after the Neuse River went over its banks and flooded his street during Hurricane Florence September 13, 2018 in New Bern, North Carolina. 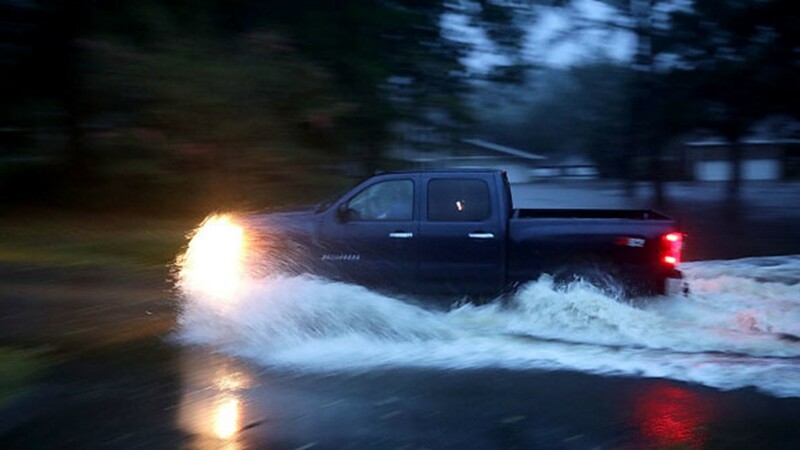 A truck drives through deep water after the Neuse River went over its banks and flooded the street during Hurricane Florence September 13, 2018 in River Bend, North Carolina. 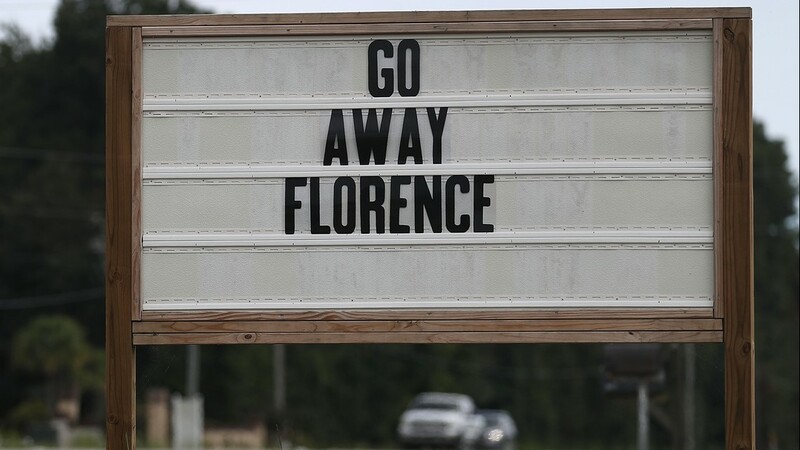 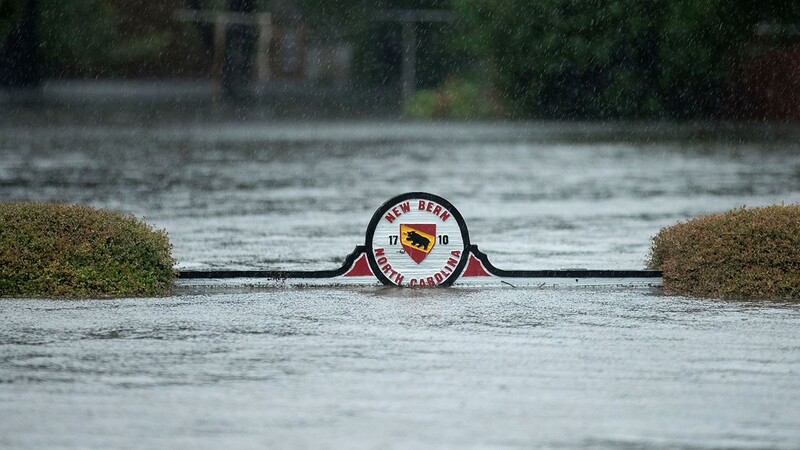 A sign warns people away from Union Point Park after is was flooded by the Neuse River during Hurricane Florence September 13, 2018 in New Bern, North Carolina. 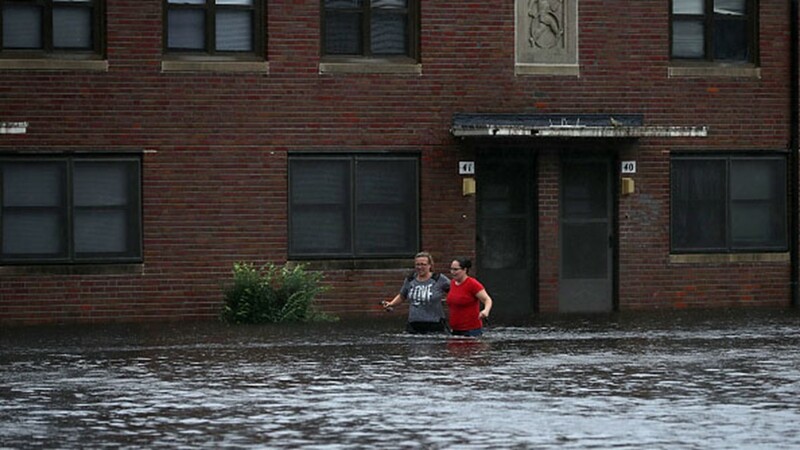 Residents try to prepare for more floodwaters at the Trent Court public housing apartments after the Neuse River went over its banks during Hurricane Florence September 13, 2018 in New Bern, United States. 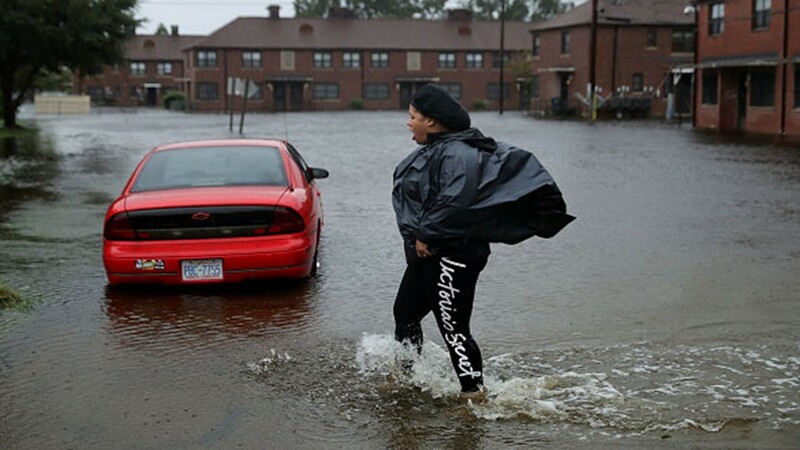 Residents wade through deep floodwater to retrieve belongings from the Trent Court public housing apartments after the Neuse River went over its banks during Hurricane Florence September 13, 2018 in New Bern, United States. 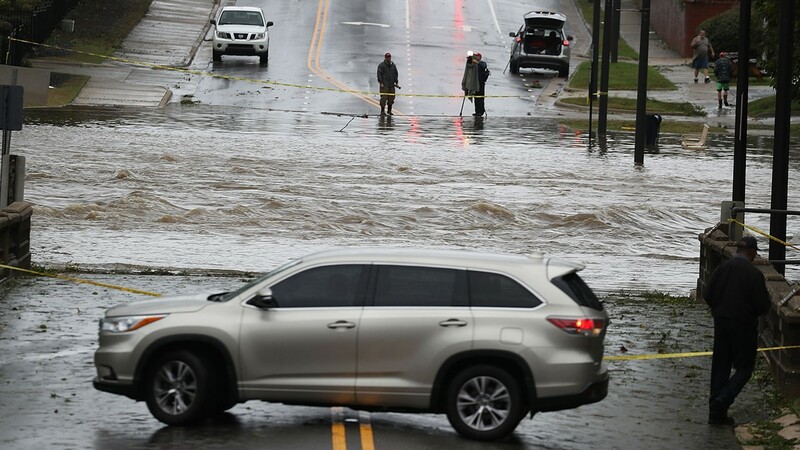 Flash flooding covers the road in low-lying areas as the outer edges of Hurricane Florence being to affect the coast September 13, 2018 in Atlantic Beach, United States. 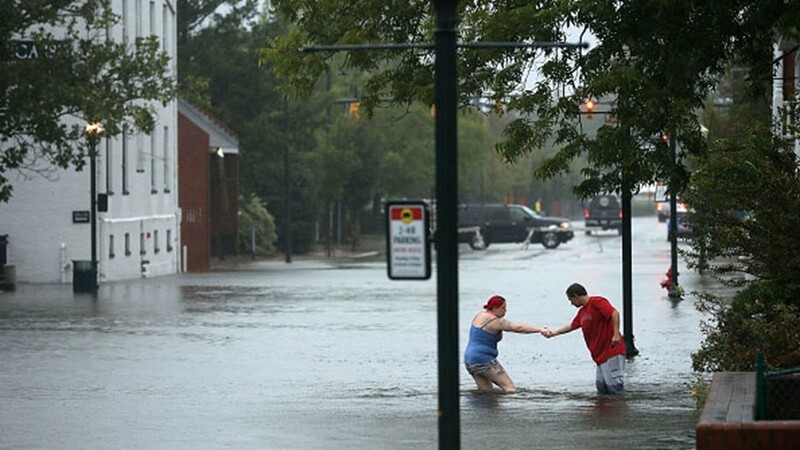 Shianne Coleman (L) gets a hand from friend Austin Gremmel as they walk in flooded streets as the Neuse River begins to flood its banks during Hurricane Florence September 13, 2018 in New Bern, North Carolina. 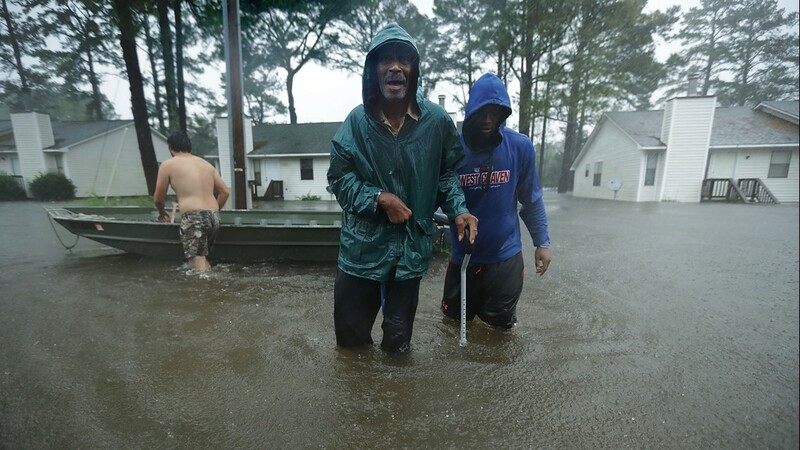 Residents walk in flooded streets as the Neuse River floods its banks during Hurricane Florence September 13, 2018 in New Bern, North Carolina. 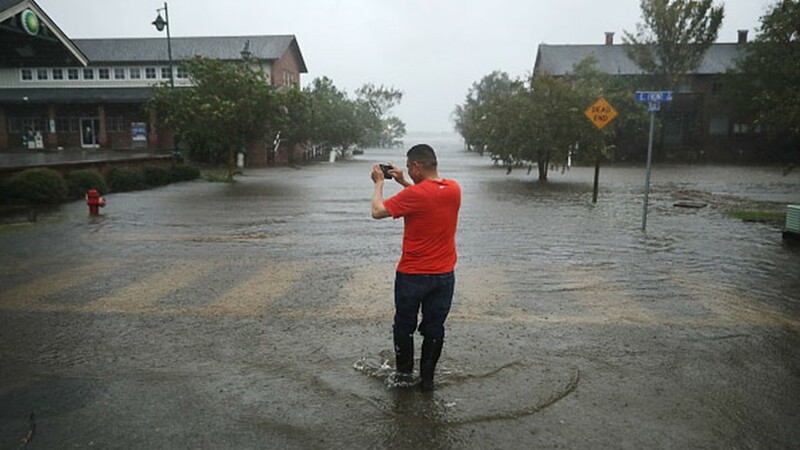 A man makes photographs of the flooded streets as the Neuse River floods its banks during Hurricane Florence September 13, 2018 in New Bern, North Carolina. 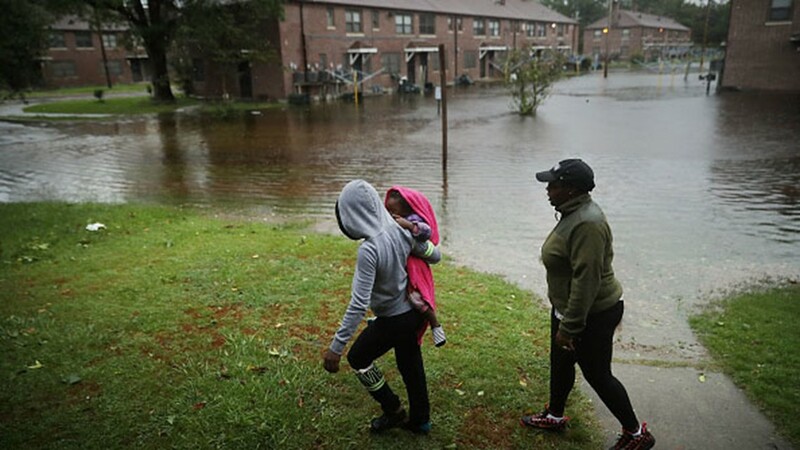 Diamond Dillahunt, 2-year-old Ta-Layah Koonce and Shkoel Collins survey the flooding at the Trent Court public housing apartments after the Neuse River topped its banks during Hurricane Florence September 13, 2018 in New Bern, United States. 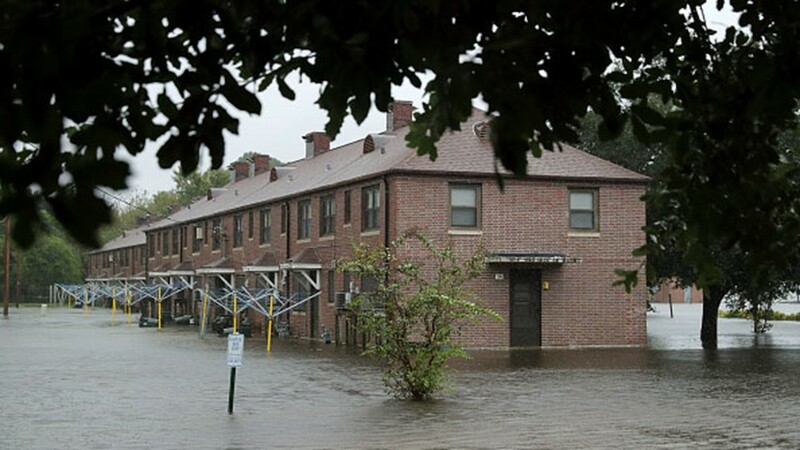 The Trent Court public housing apartments are flooded after the Neuse River topped its banks during Hurricane Florence September 13, 2018 in New Bern, North Carolina. 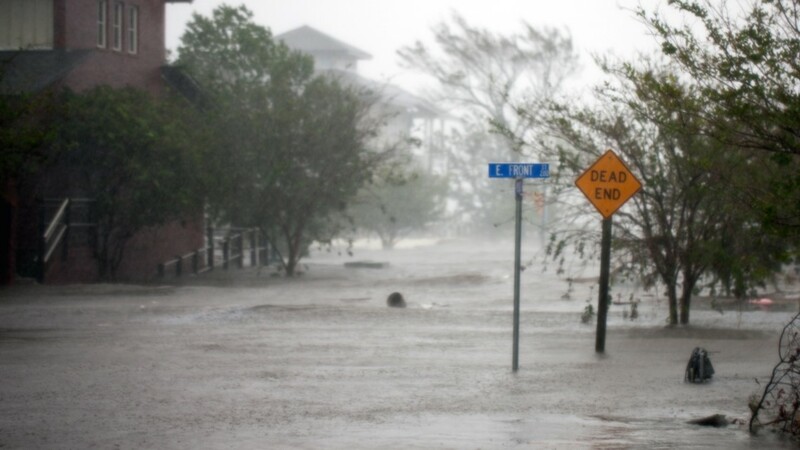 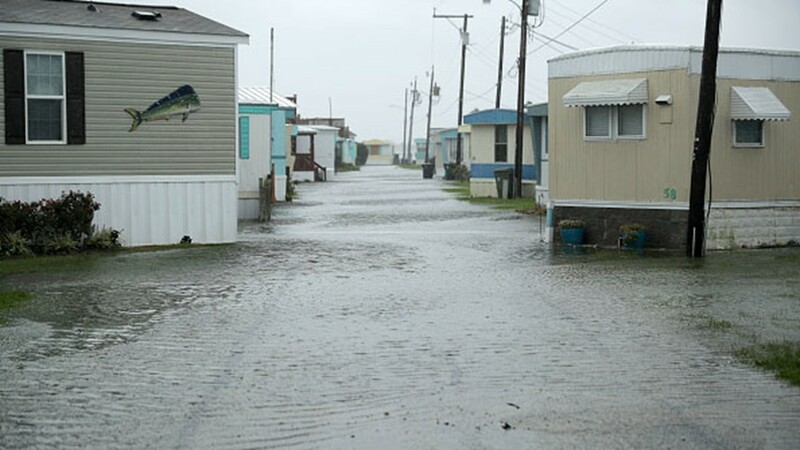 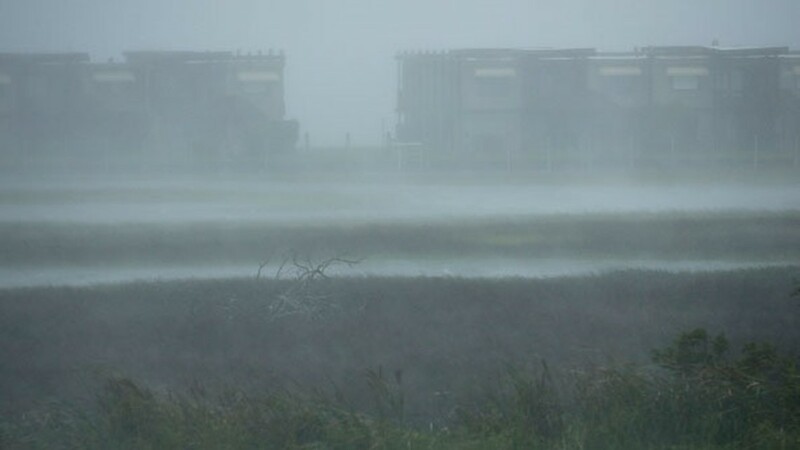 High wind and driving rain obscure the 8 1/2 Marina Village as Hurricane Florence beings to make landfall September 13, 2018 in Atlantic Beach, United States. 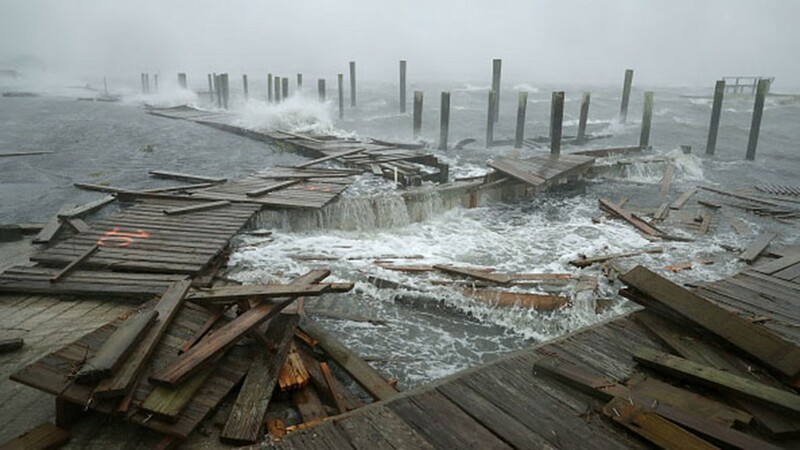 Portions of a boat dock and boardwalk are destroyed by powerful wind and waves as Hurricane Florence arrives September 13, 2018 in Atlantic Beach, United States. 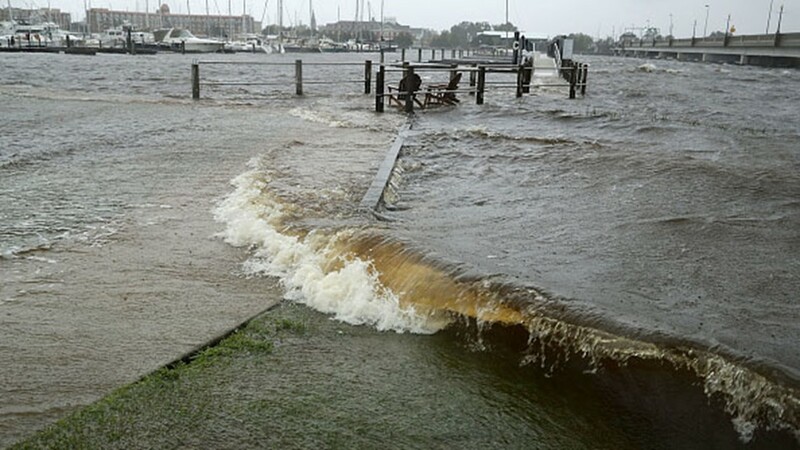 Floodwater covers the walkway to the Bridgepointe Hotel and Marina as the Neuse River floods its banks during Hurricane Florence September 13, 2018 in James City, United States. 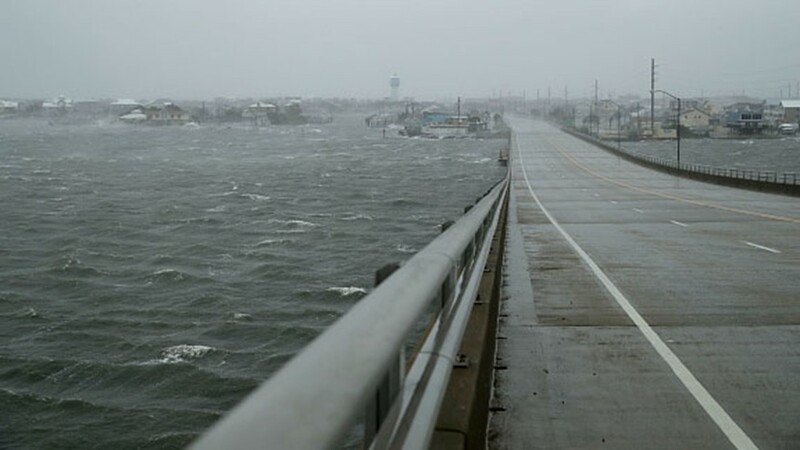 High wind and driving rain obscure the view from the Atlantic Beach Bridge as Hurricane Florence beings to make landfall September 13, 2018 in Atlantic Beach, United States. 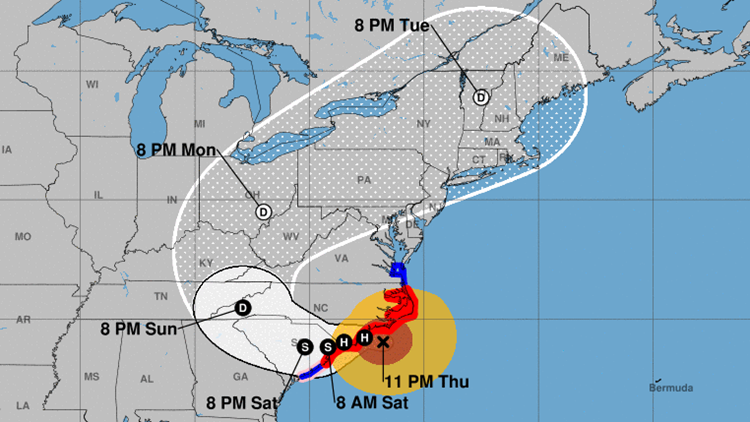 As of 11 p.m., Florence was centered about 85 miles (135 kilometers) east-southeast of Wilmington, its forward movement slowed to 5 mph (7 kph). 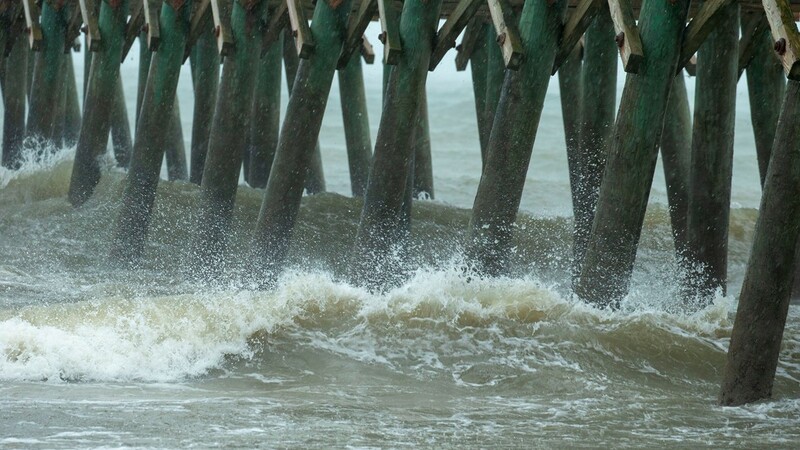 Hurricane-force winds extended 80 miles (130 kilometers) from its center, and tropical-storm-force winds up to 195 miles (315 kilometers). 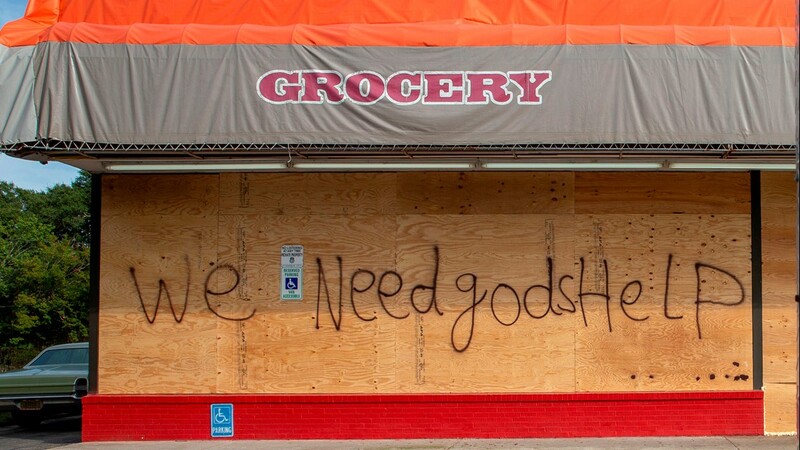 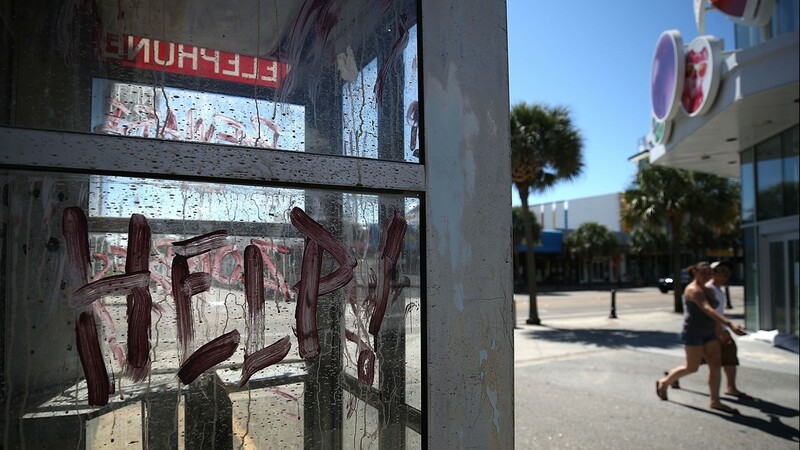 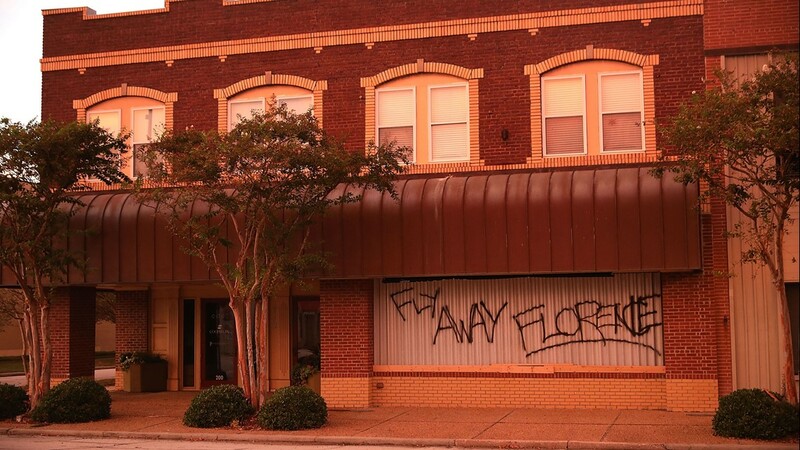 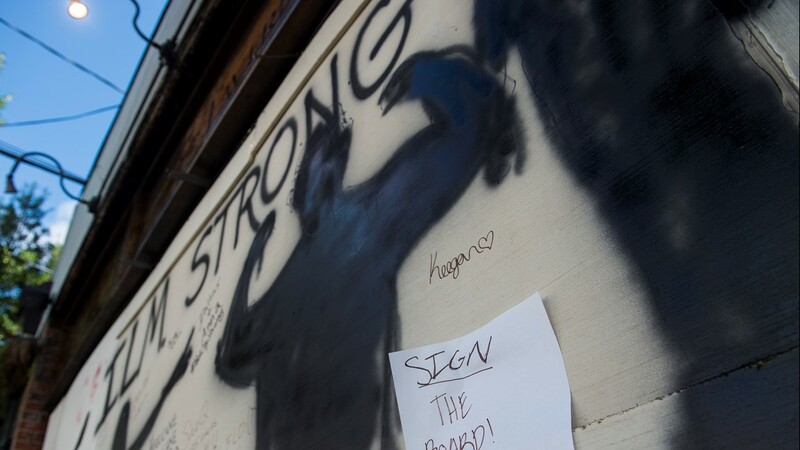 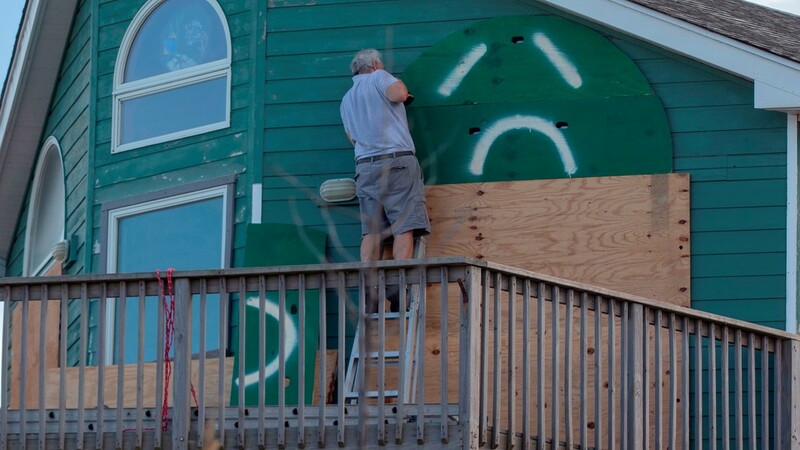 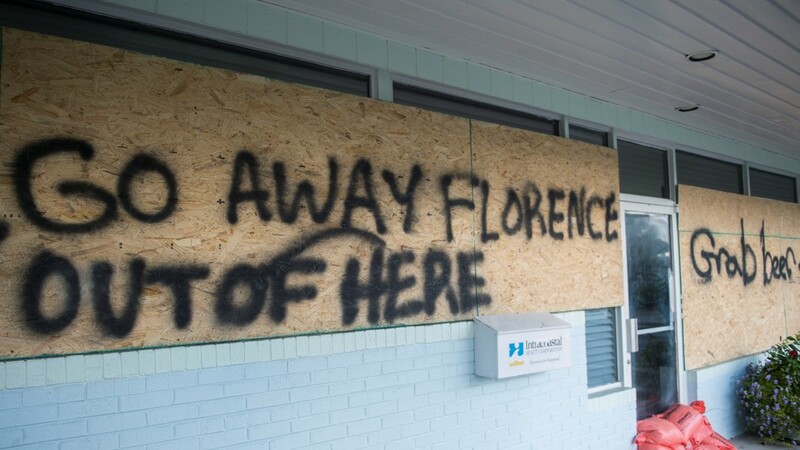 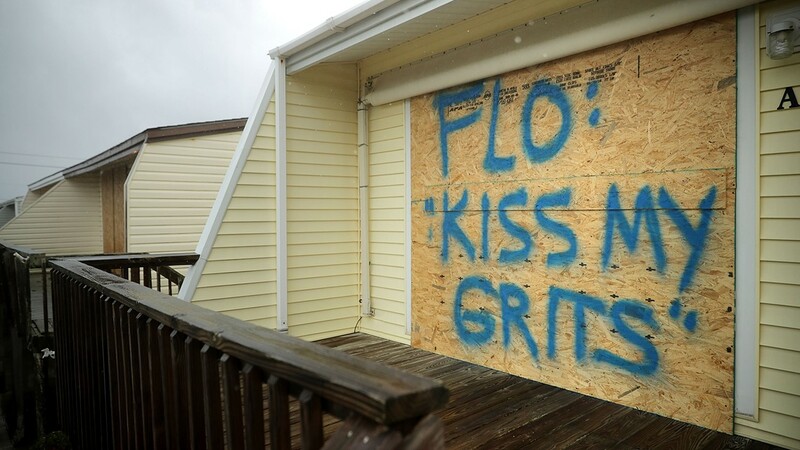 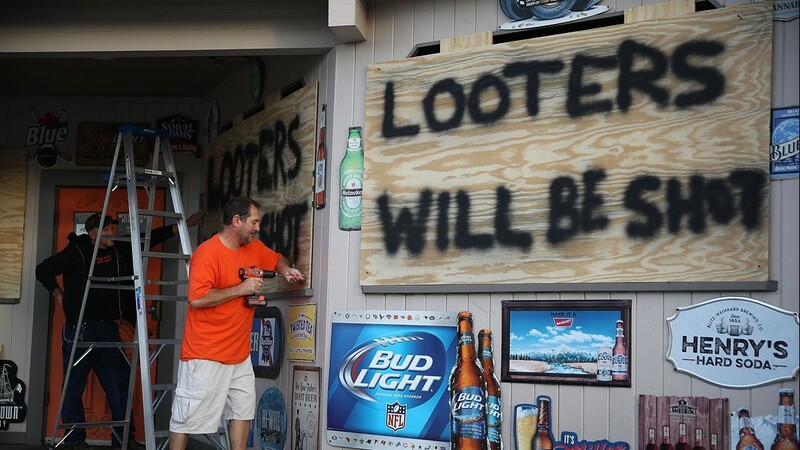 A spray painted message is left on a boarded up condominium as the outer bands of Hurricane Florence being to affect the coast September 13, 2018 in Atlantic Beach, United States. 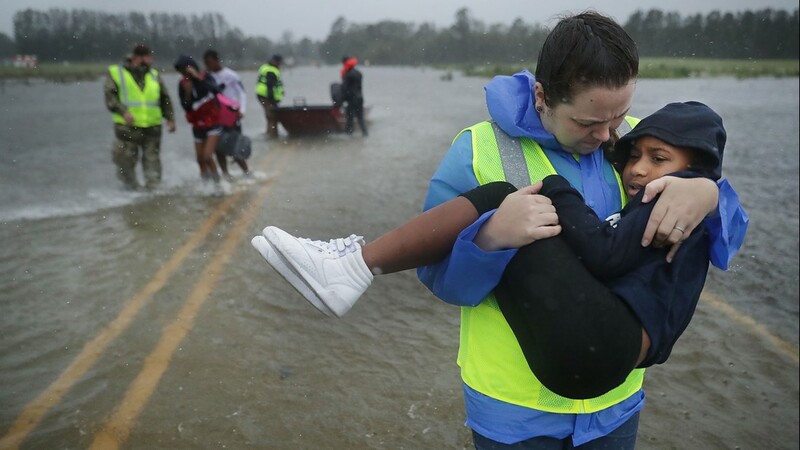 Associated Press writers Seth Borenstein in Washington; Jeffrey Collins and Claire Galofaro in Myrtle Beach, South Carolina; Jennifer Kay in Miami; Gary Robertson in Raleigh, North Carolina; Sarah Rankin and Denise Lavoie in Richmond, Virginia; Meg Kinnard in Columbia, South Carolina; Skip Foreman in Charlotte, North Carolina; Jeff Martin in Hampton, Georgia; David Koenig in Dallas; Gerry Broome at Nags Head, North Carolina; and Jay Reeves in Atlanta contributed to this report.